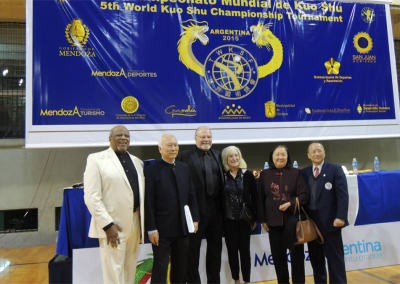 The 6th World Kuo Shu Federation Championship Tournament was held in Maryland, USA on July 27th – 29th, 2018. 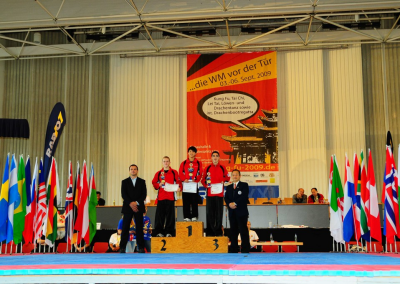 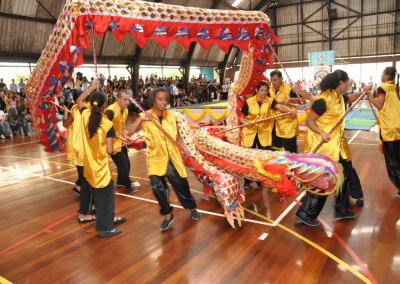 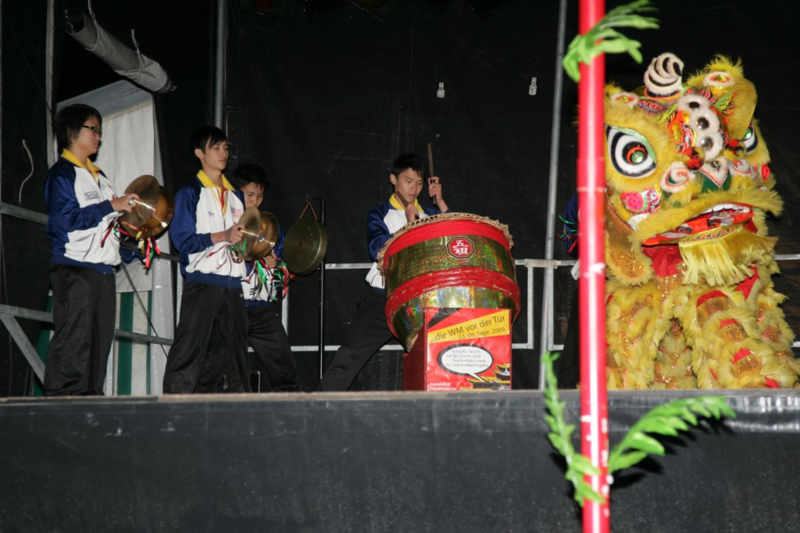 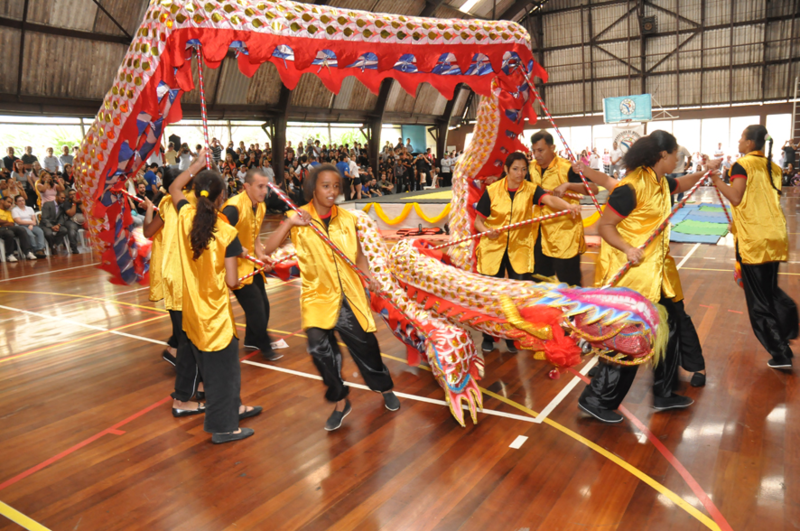 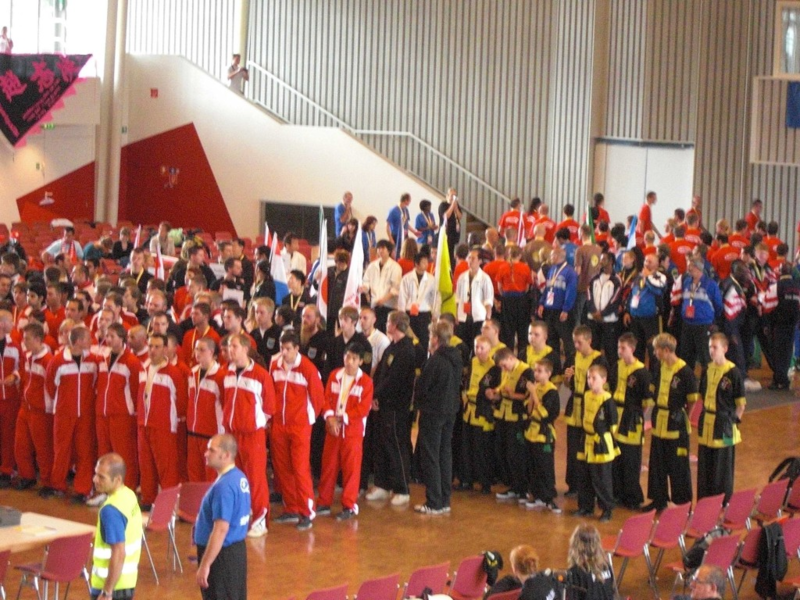 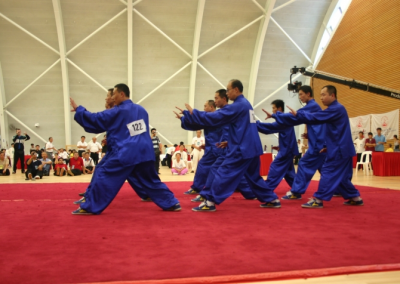 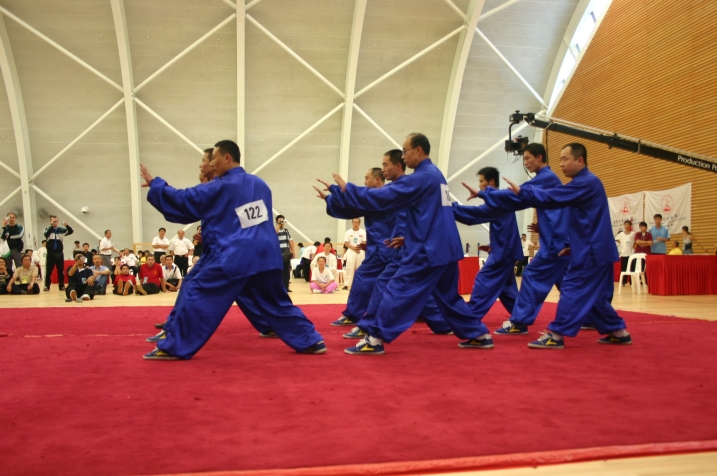 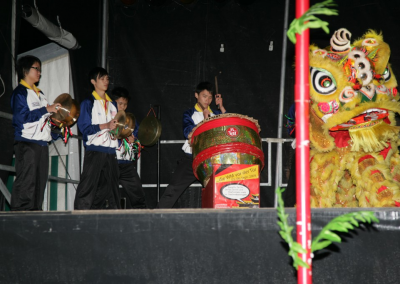 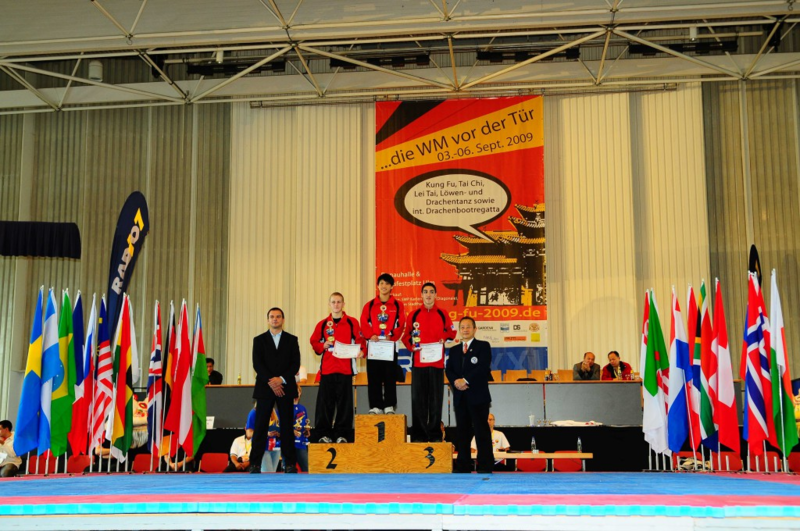 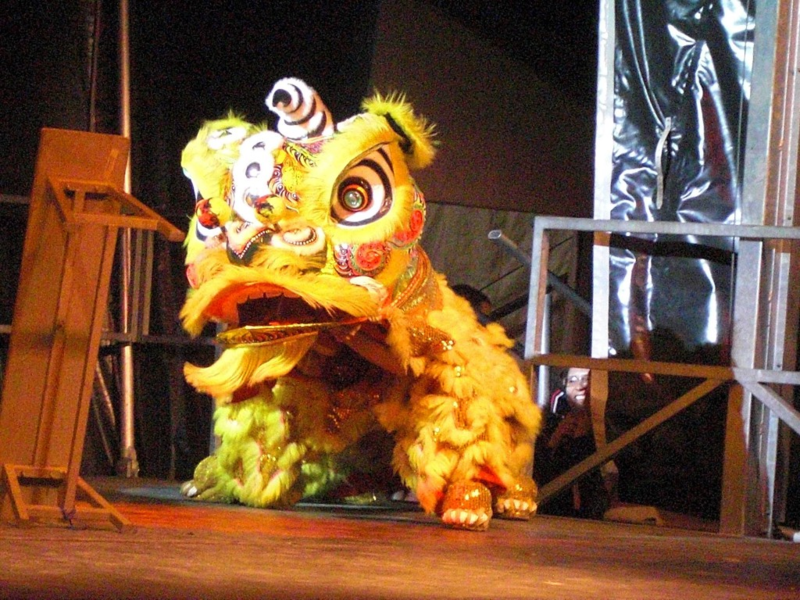 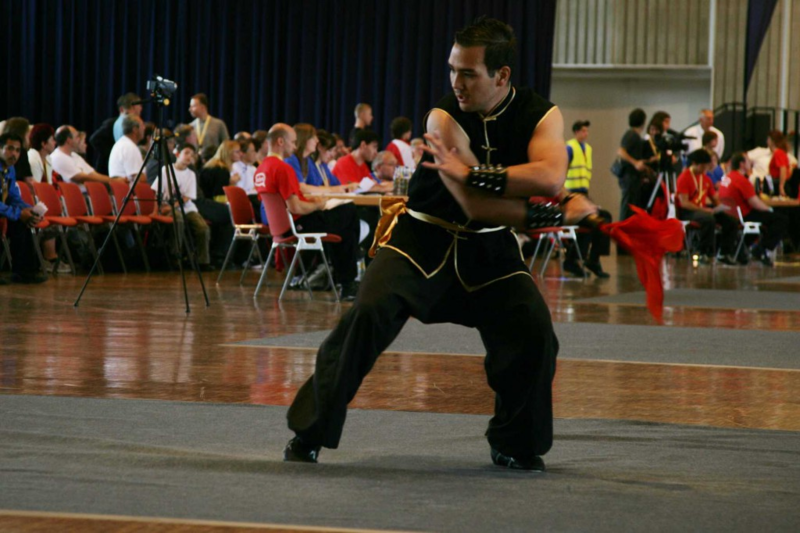 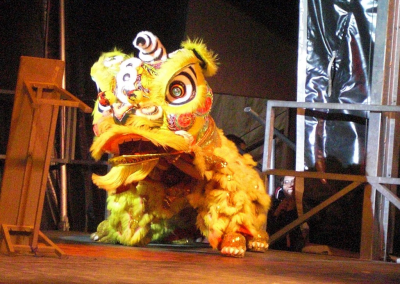 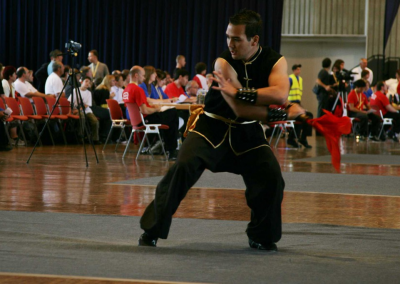 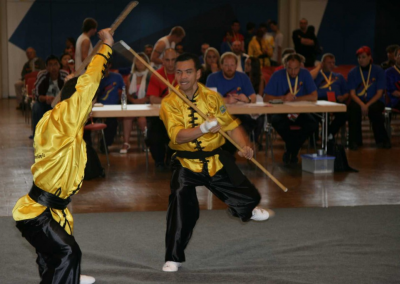 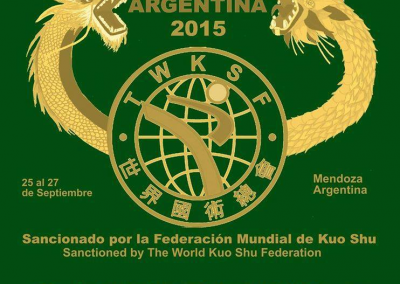 The World Kuo Shu Federation hosts a world tournament every three years. 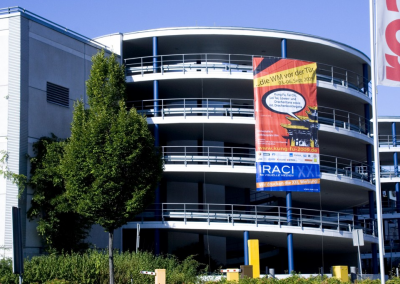 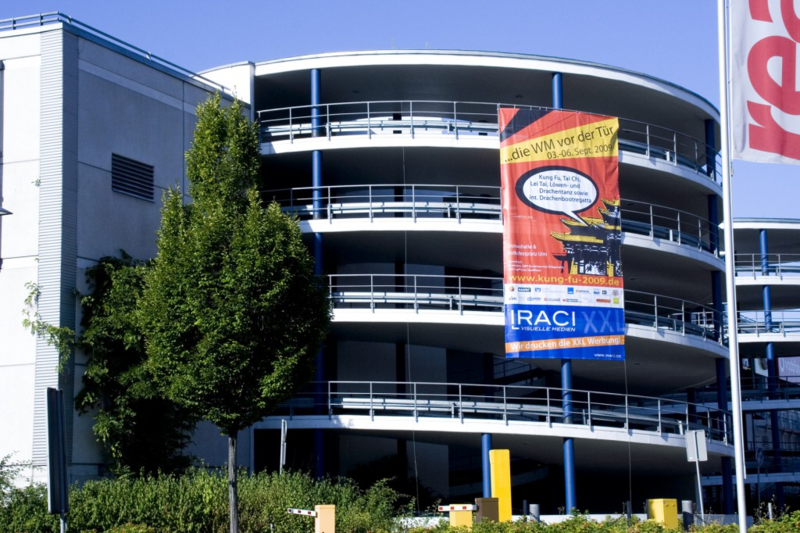 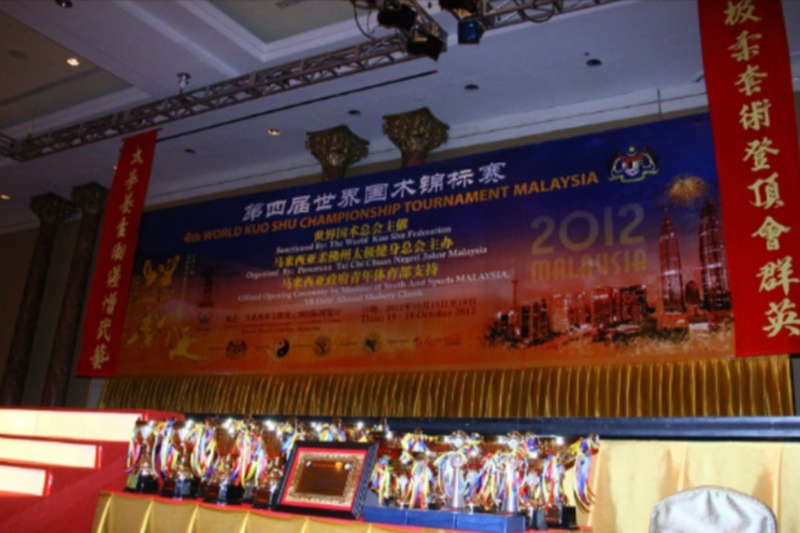 Member organizations may host regional tournaments as well. 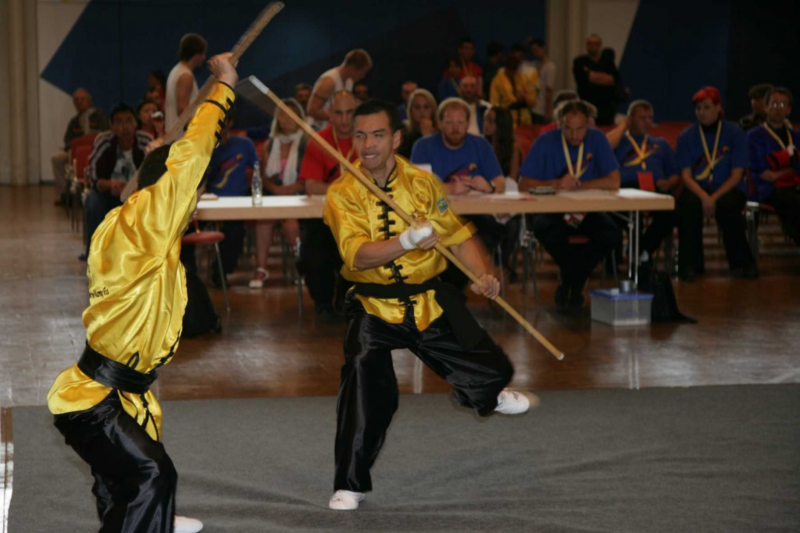 The tournament referees and judges at TWKSF sponsored or sanctioned events are internationally certified are familiar with the TWKSF competition rules. 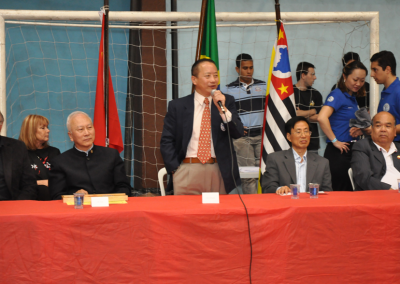 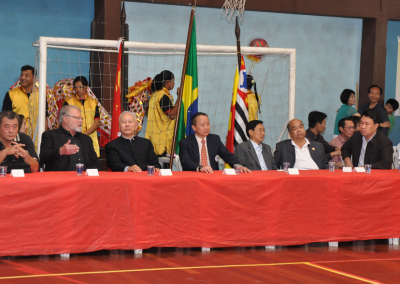 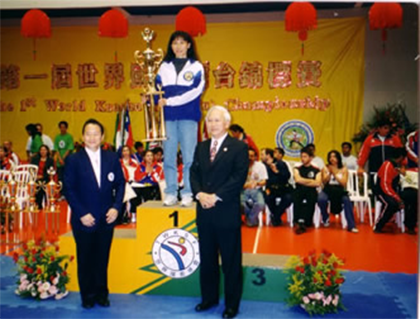 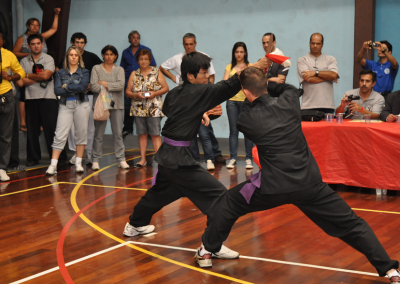 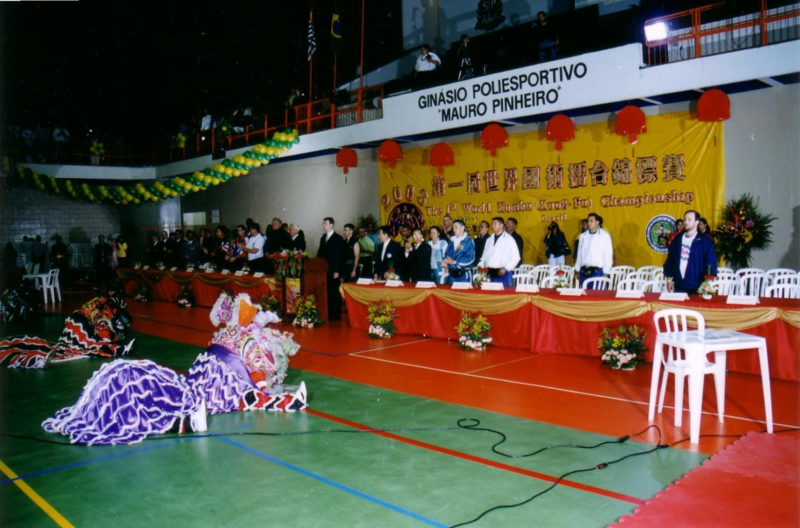 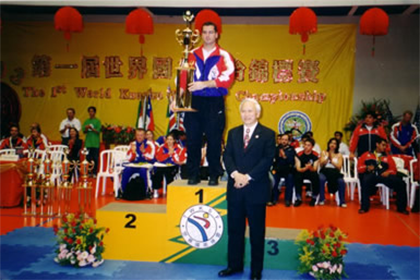 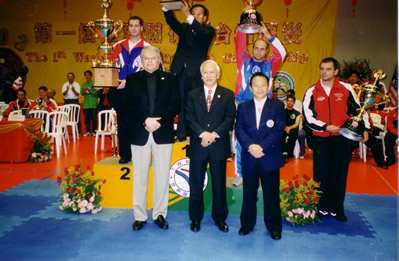 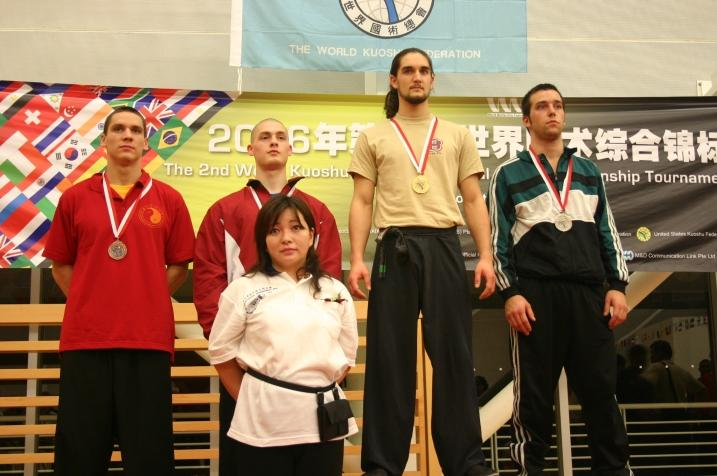 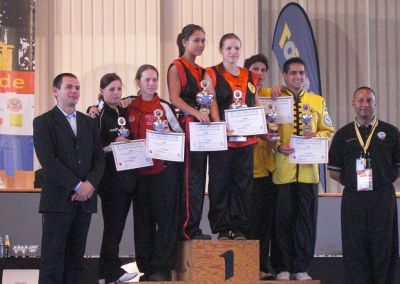 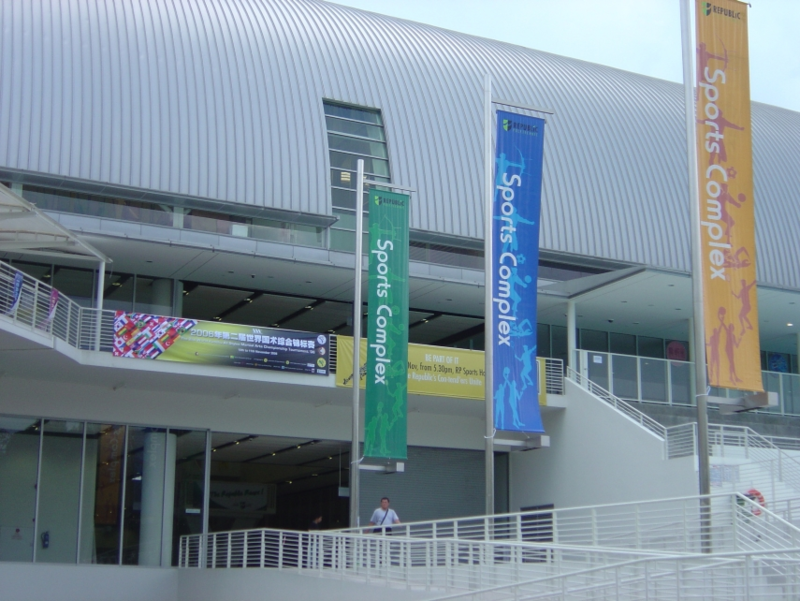 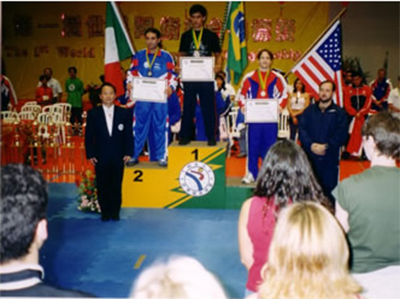 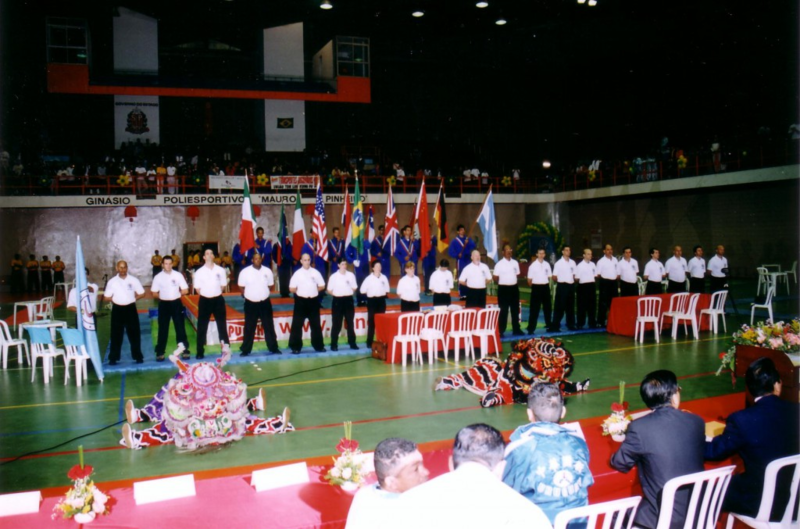 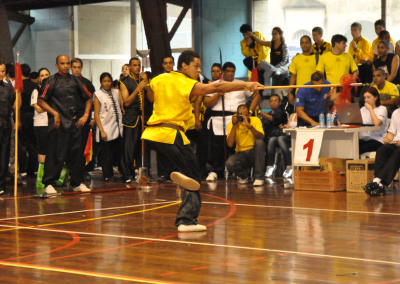 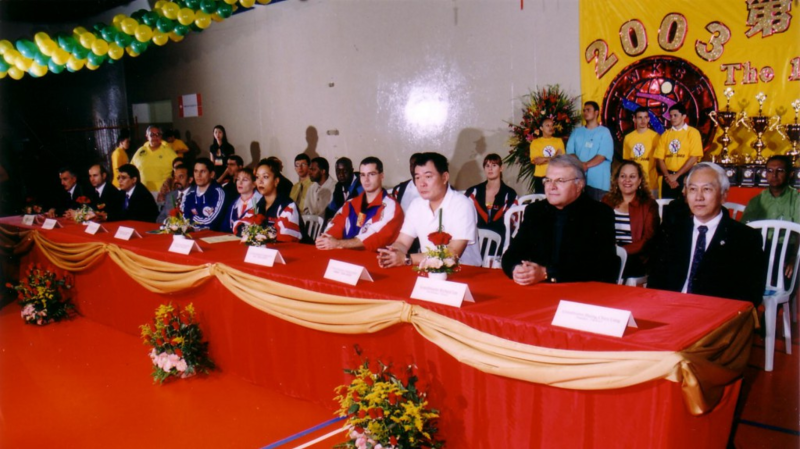 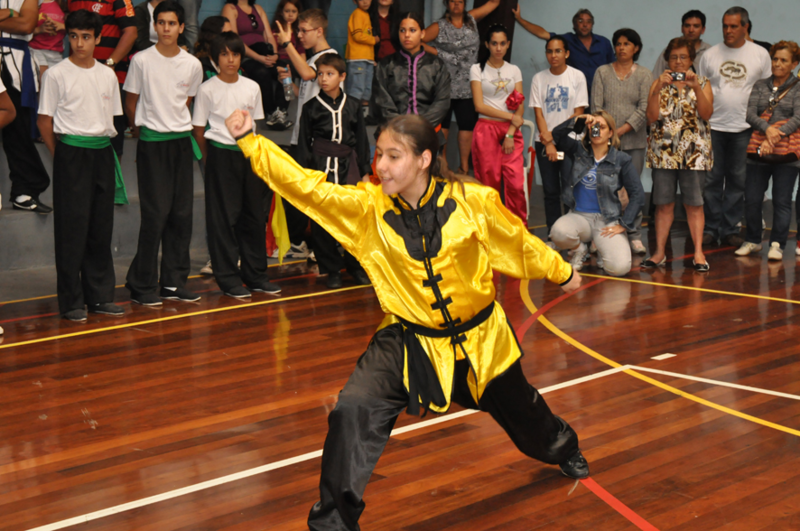 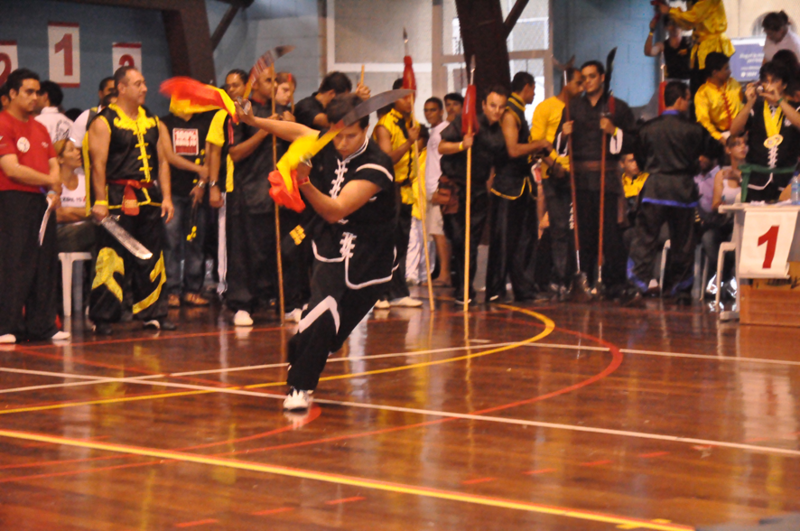 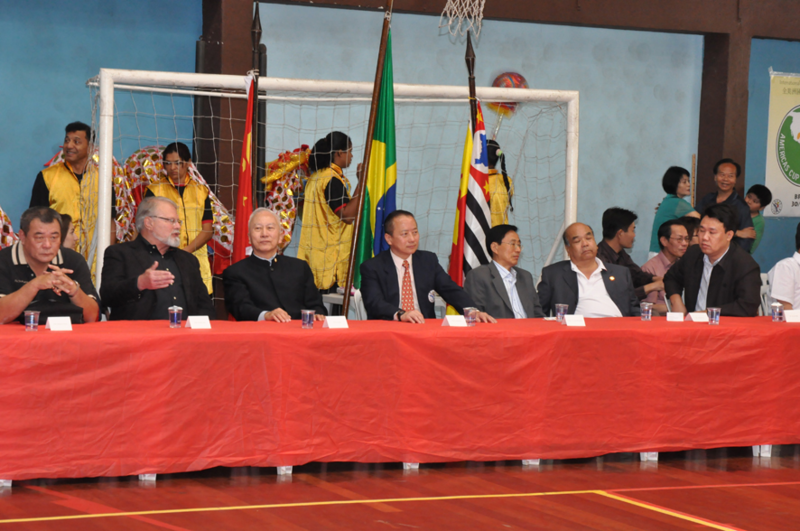 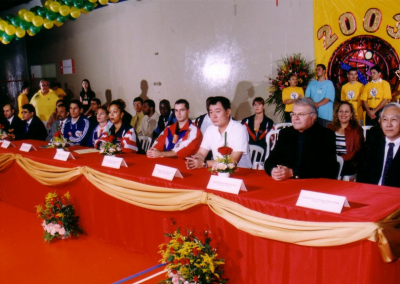 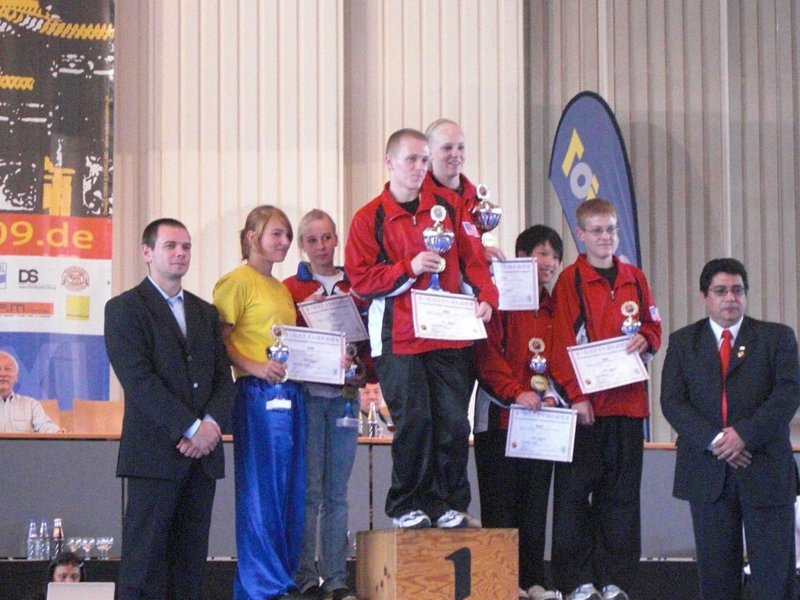 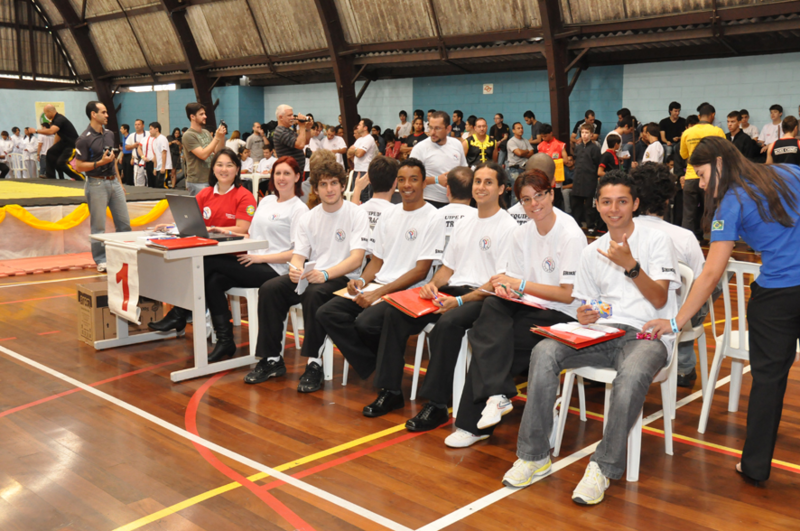 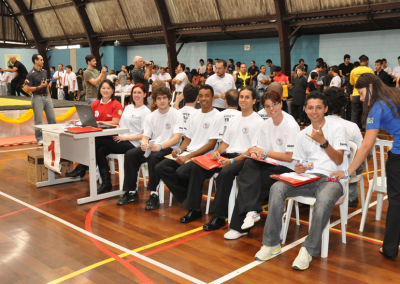 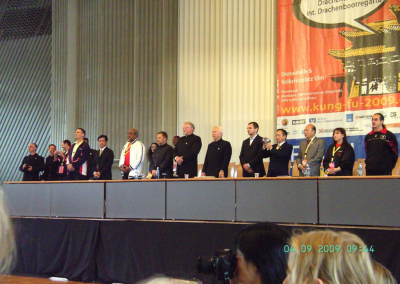 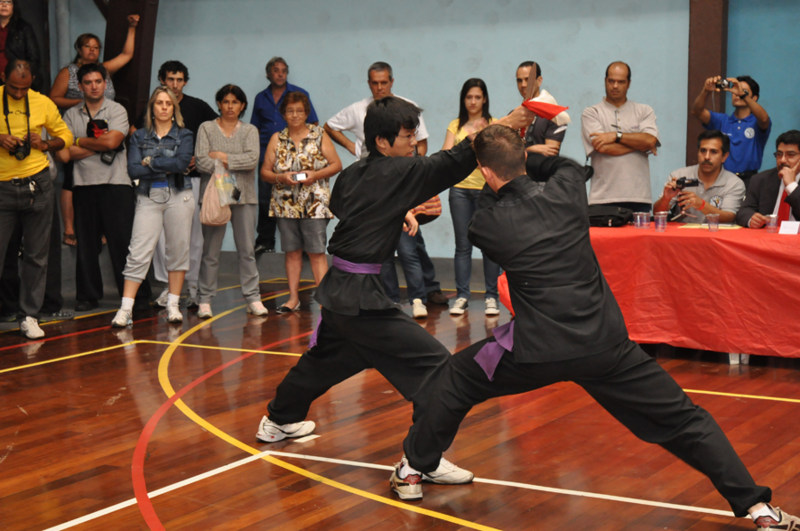 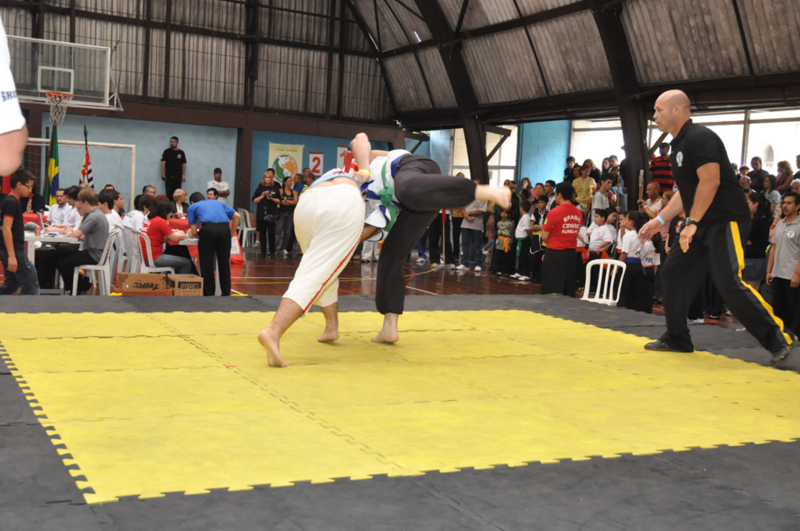 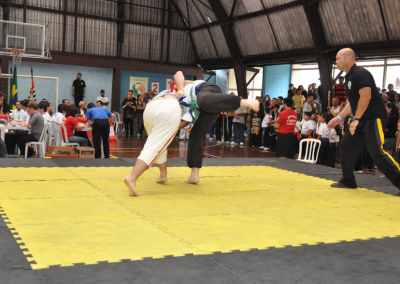 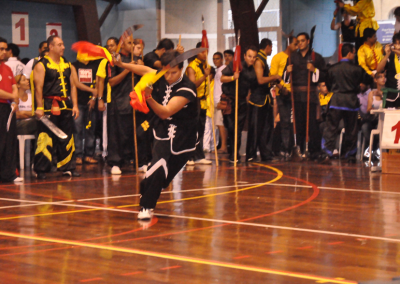 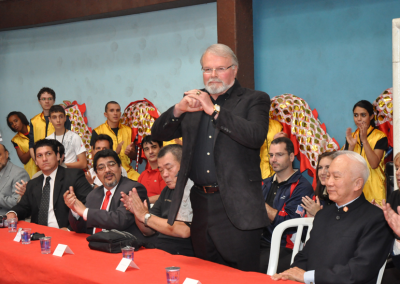 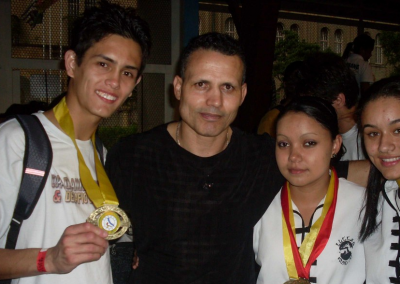 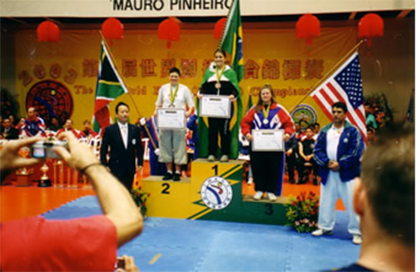 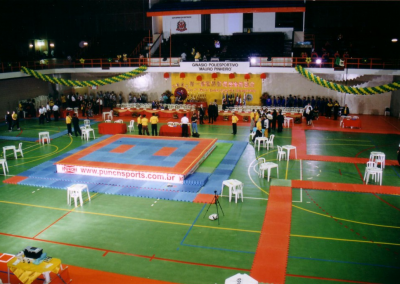 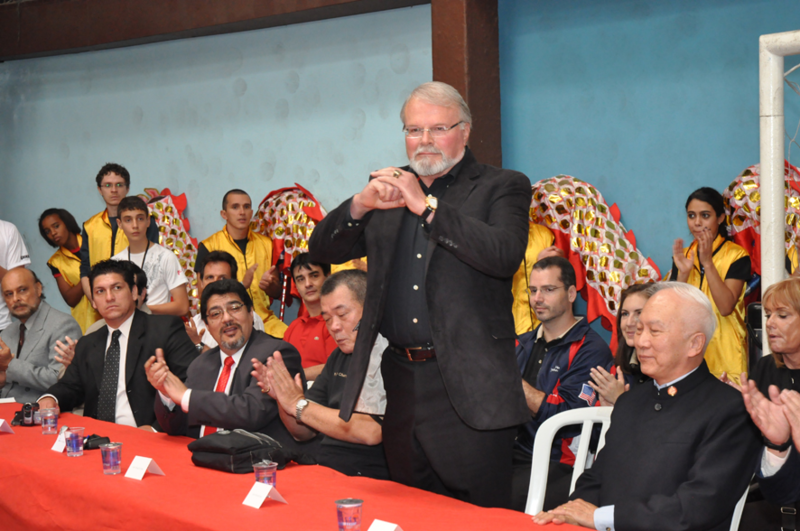 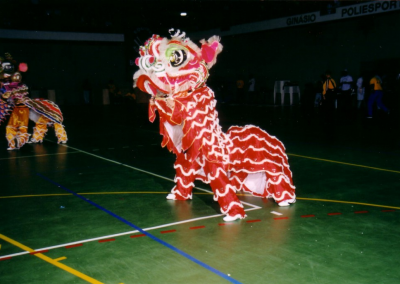 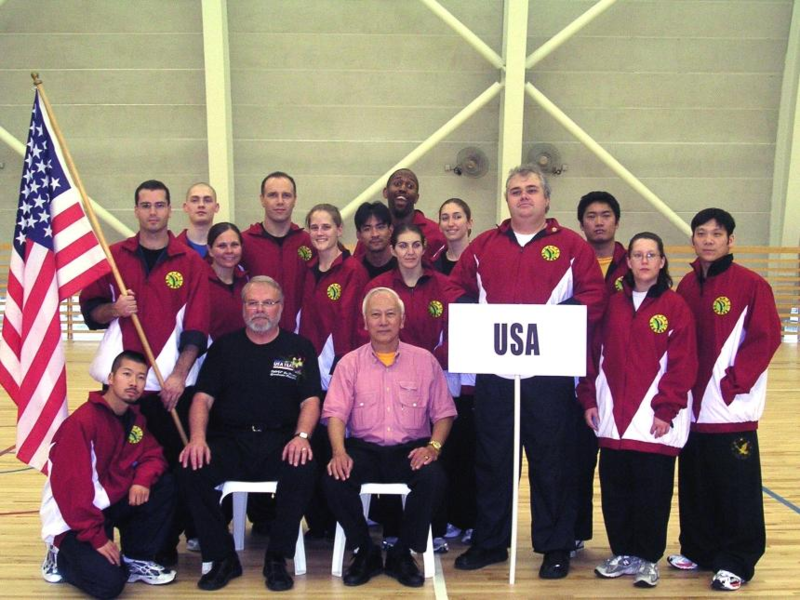 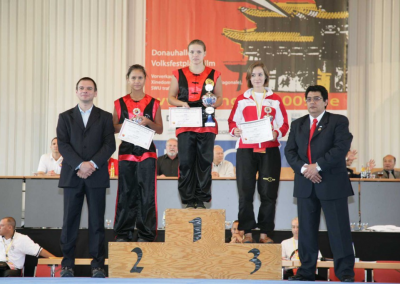 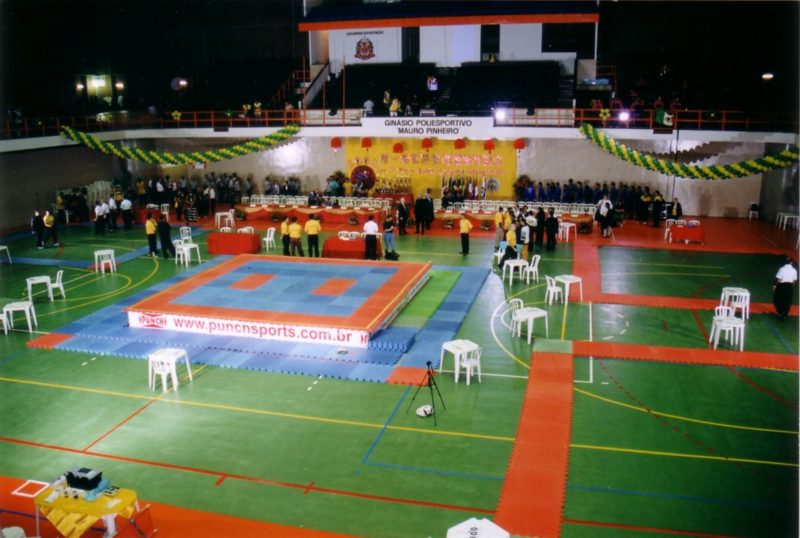 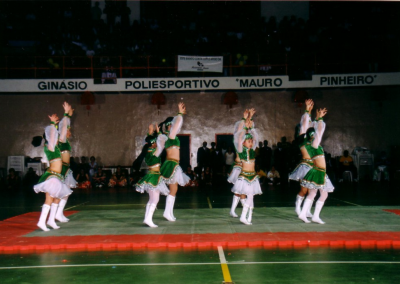 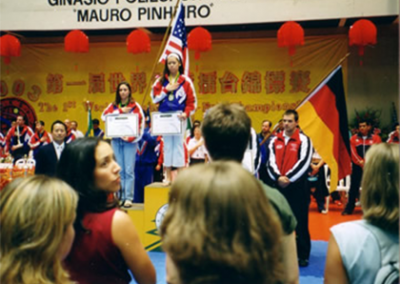 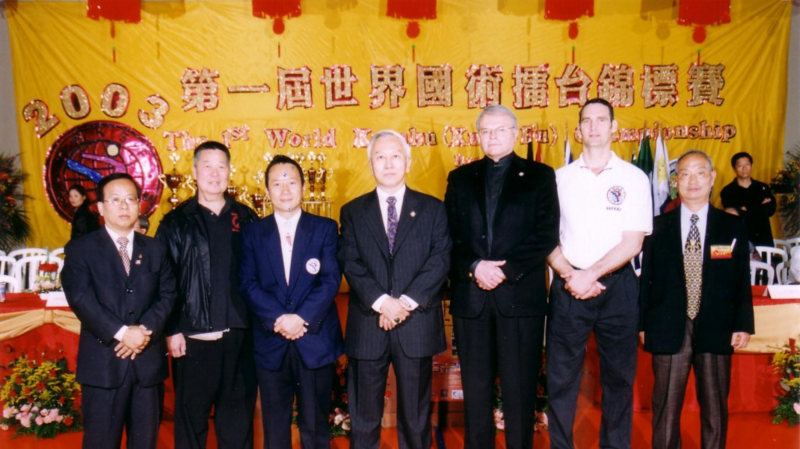 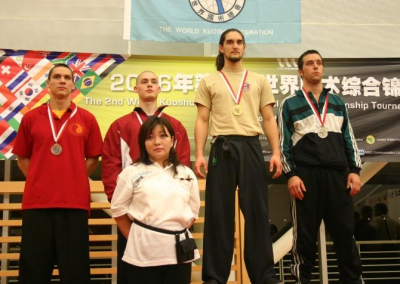 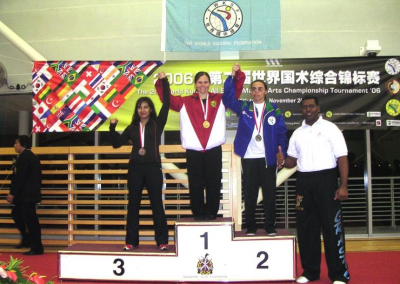 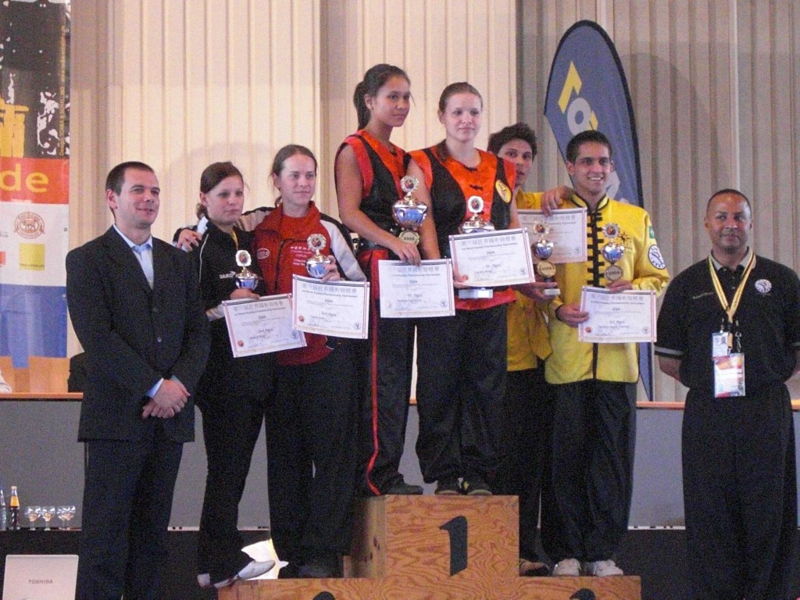 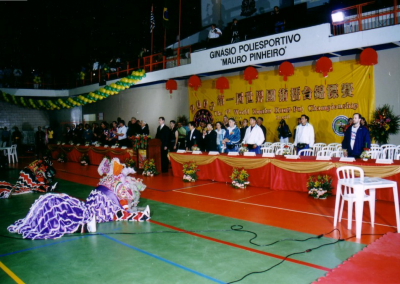 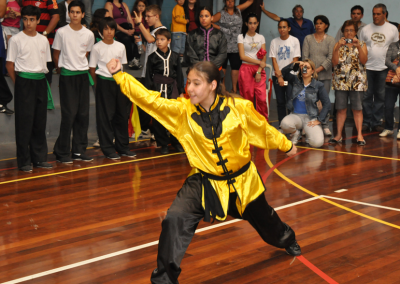 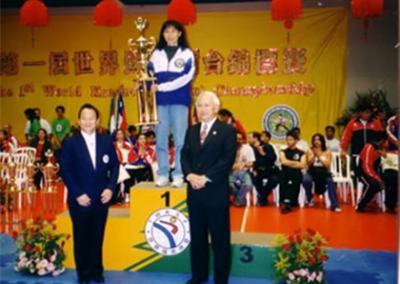 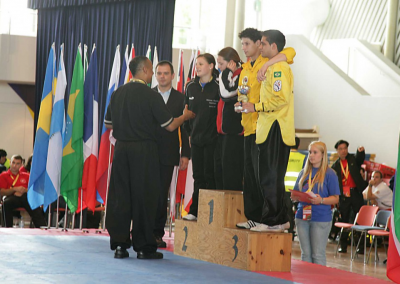 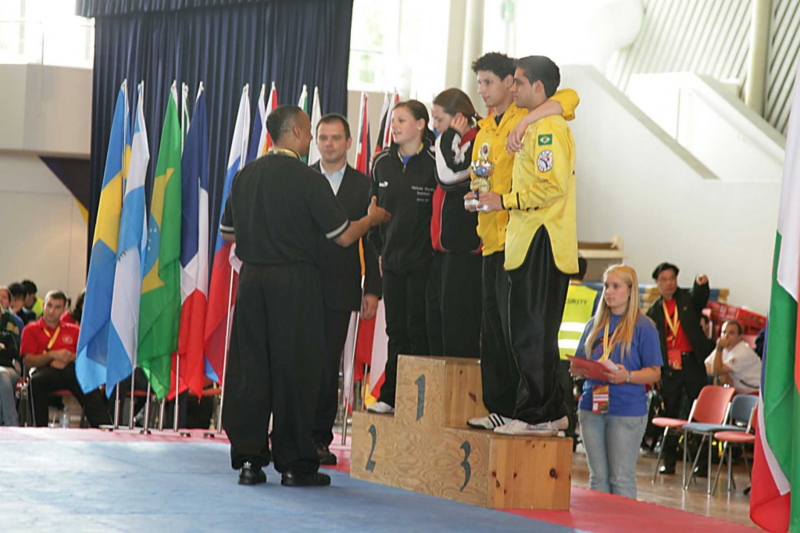 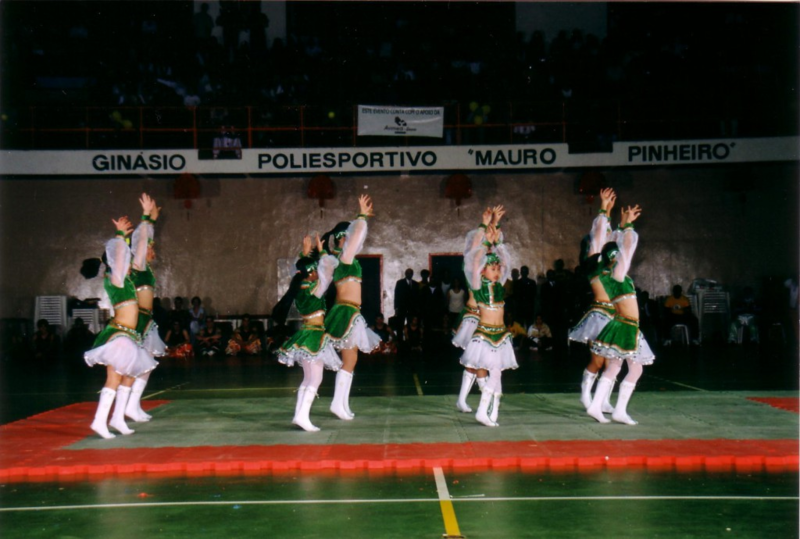 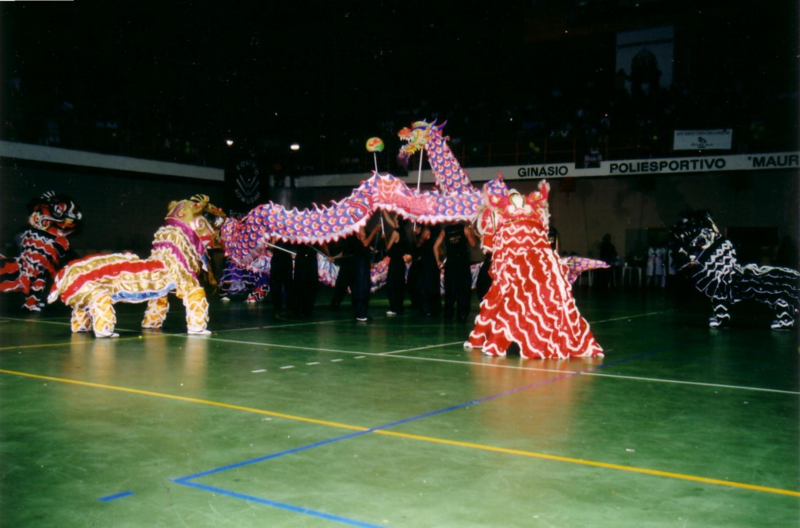 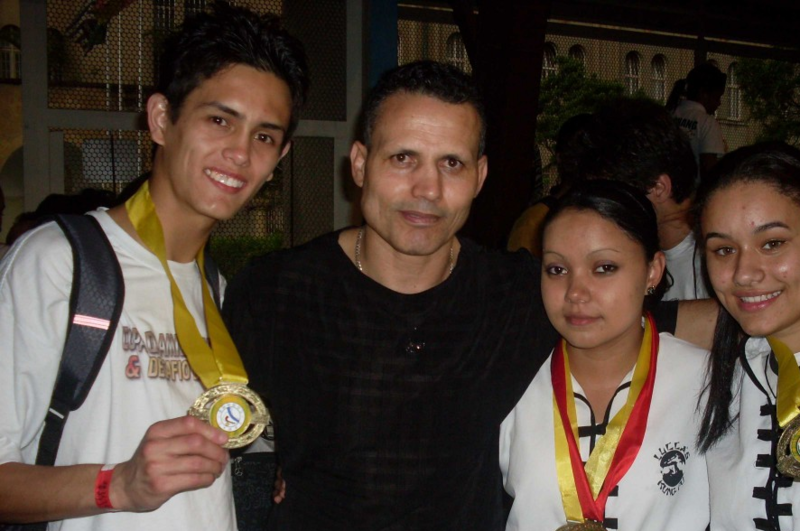 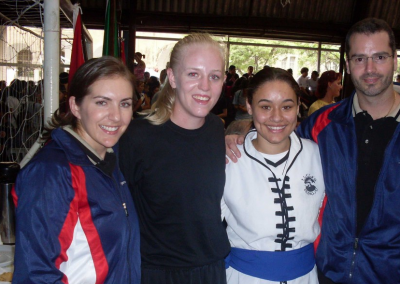 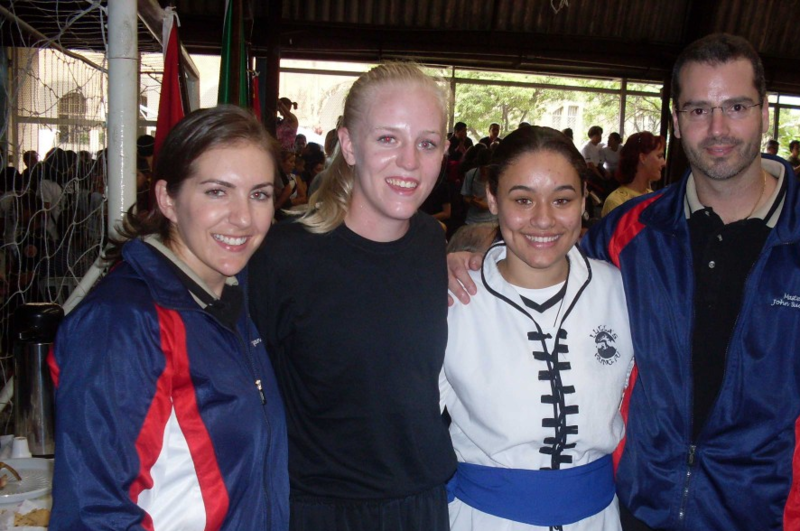 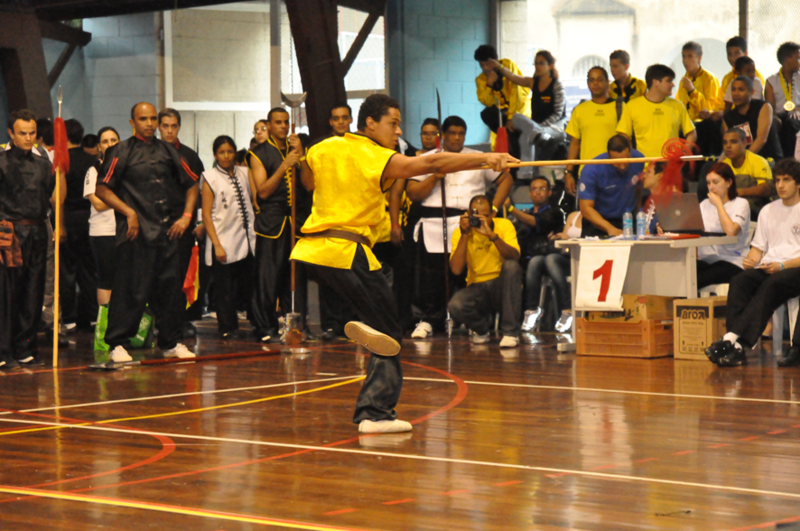 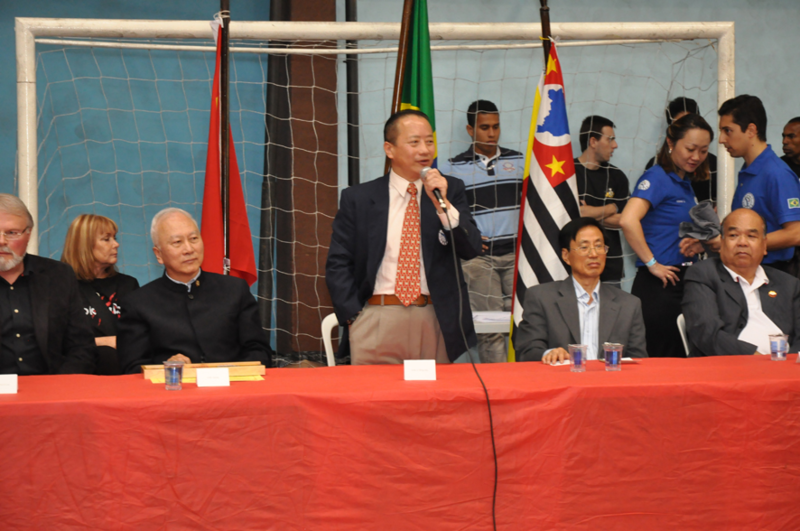 The World Kuo Shu Federation’s 1st World Tournament was held in Sao Paolo, Brazil in 2003. 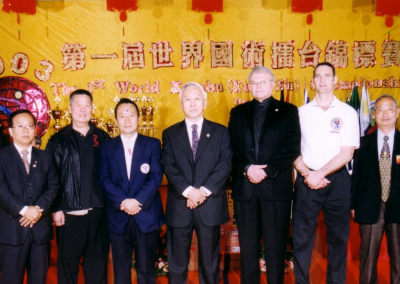 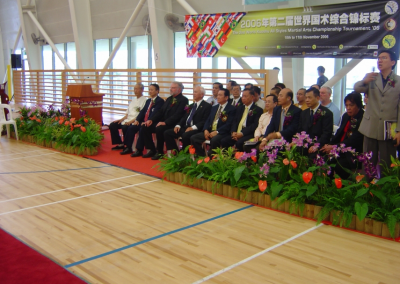 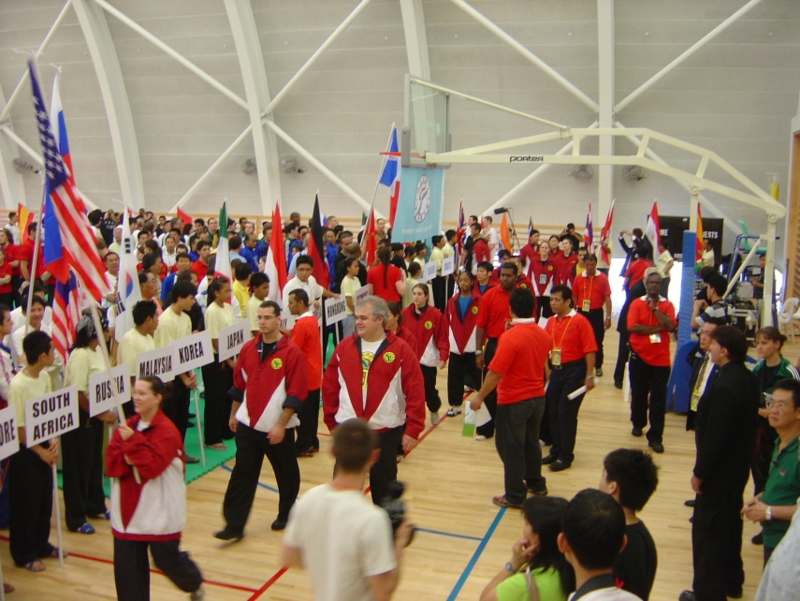 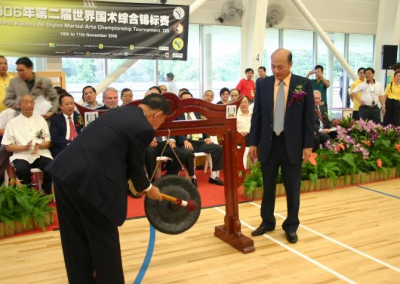 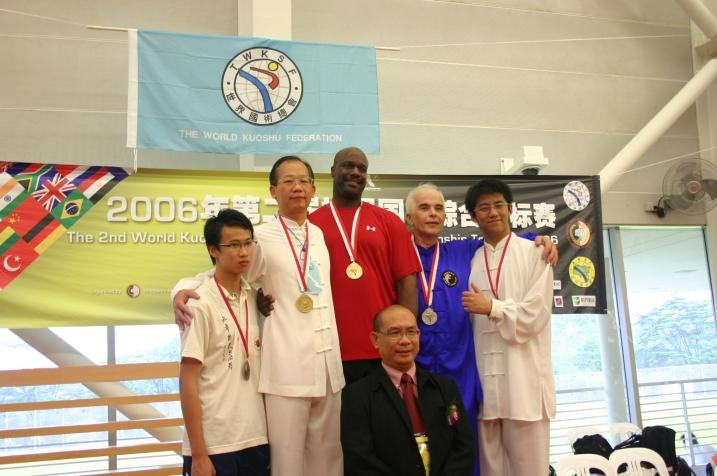 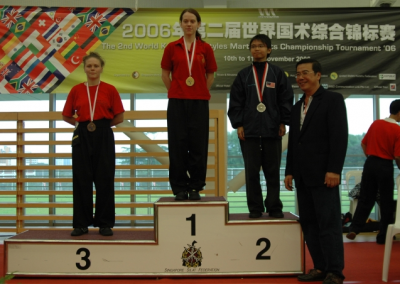 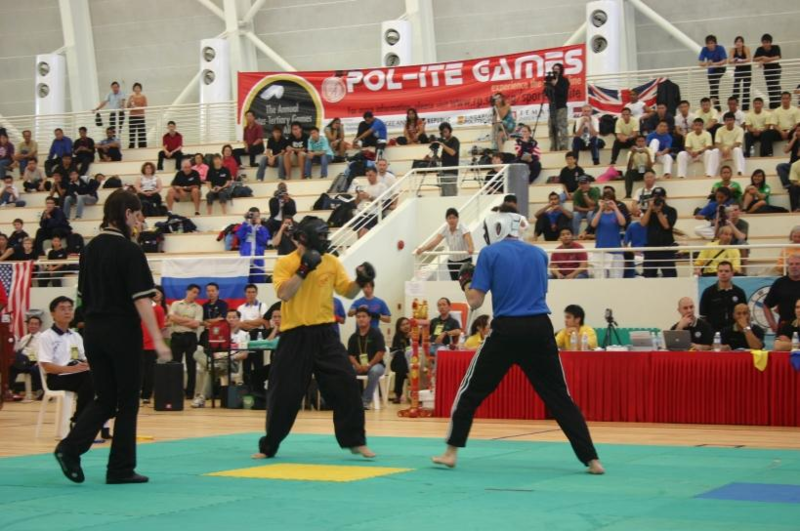 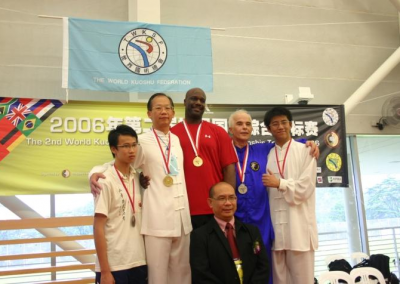 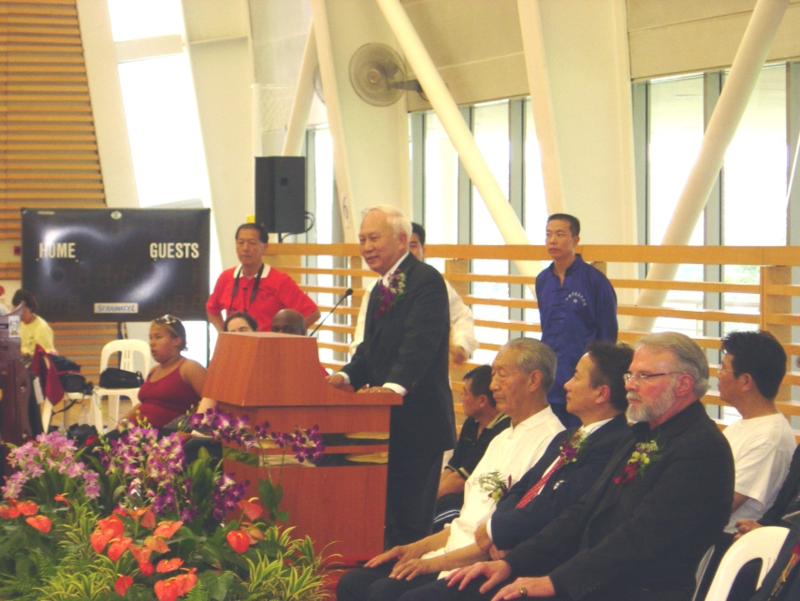 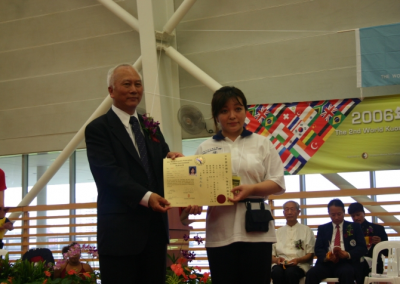 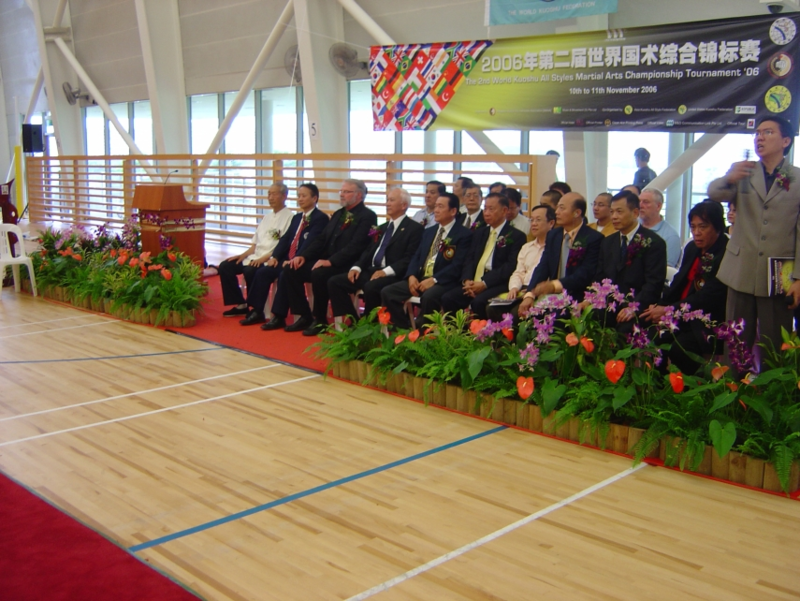 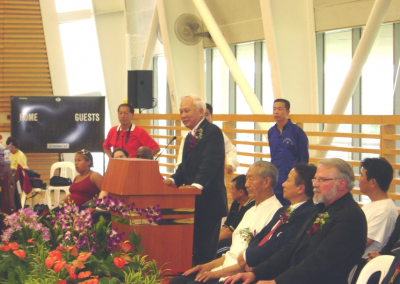 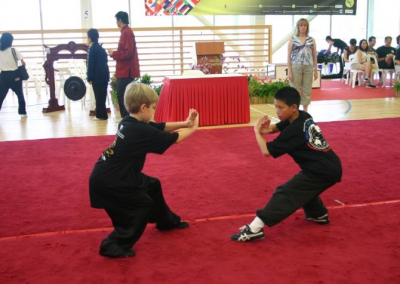 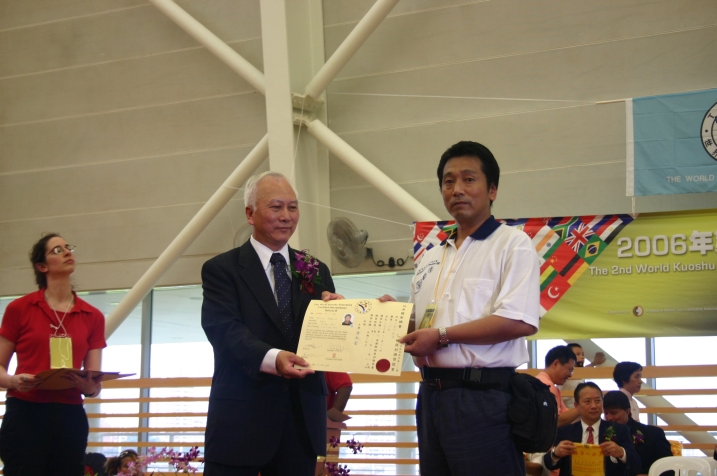 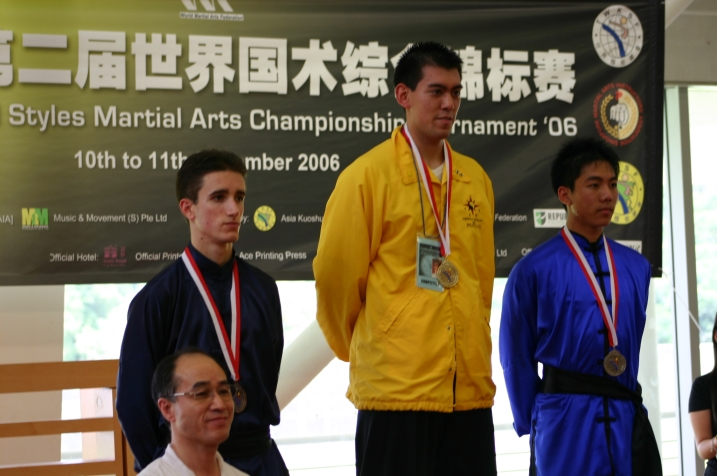 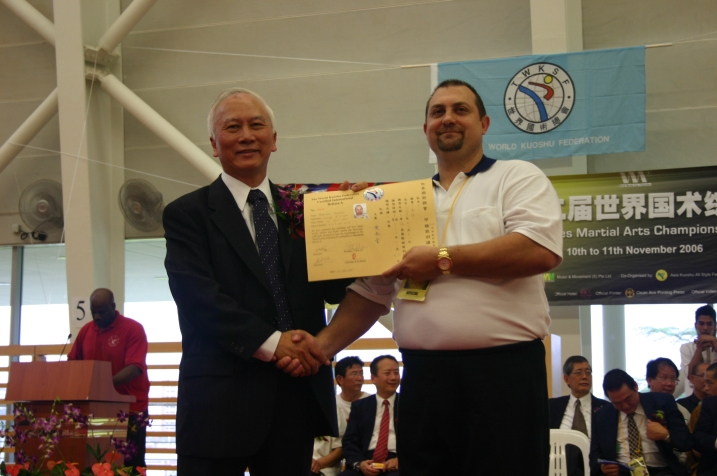 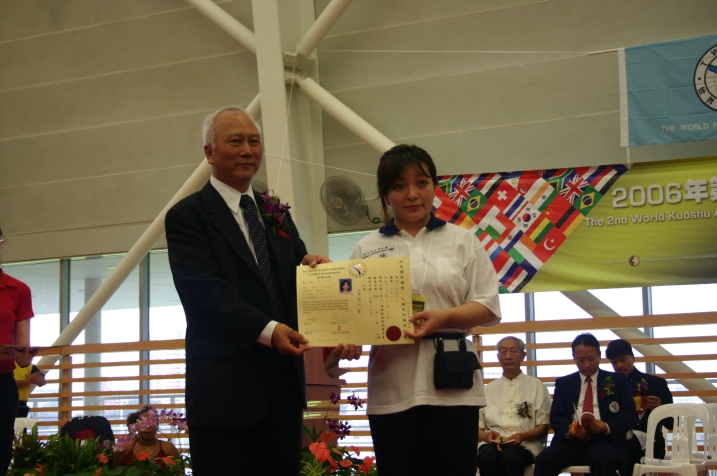 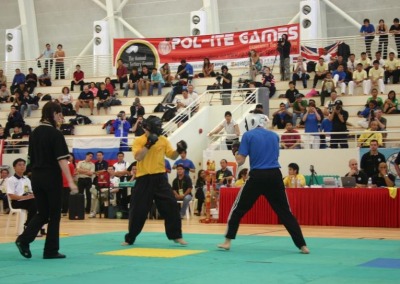 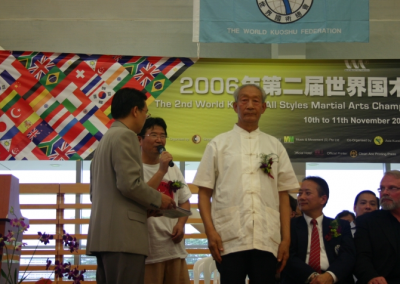 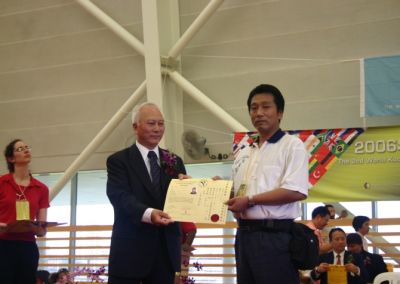 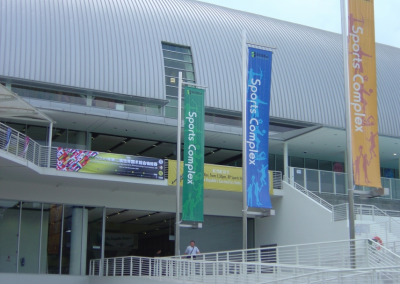 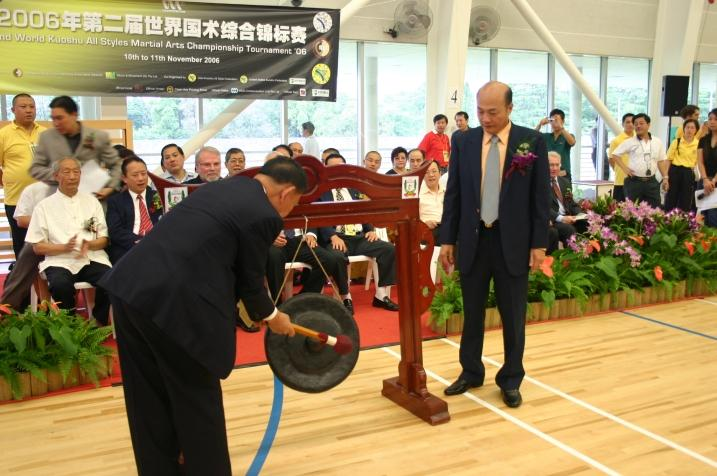 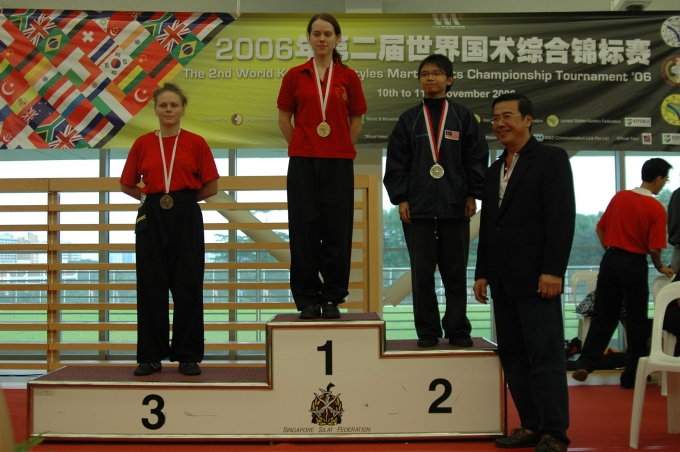 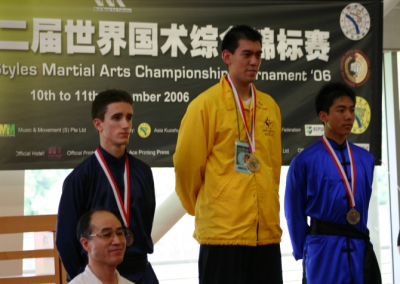 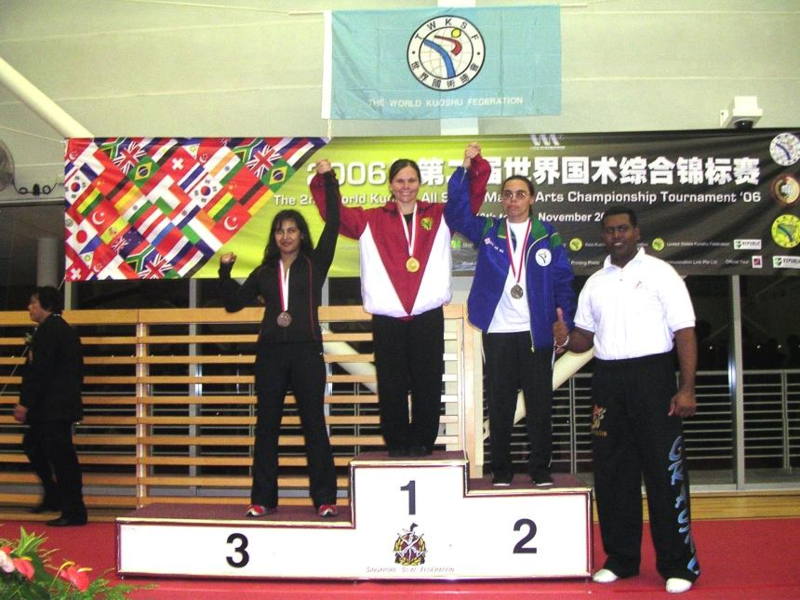 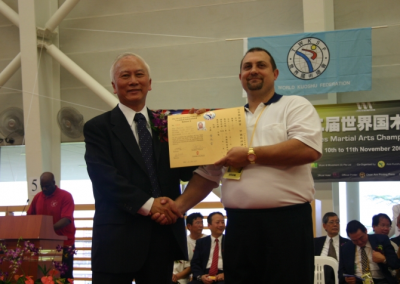 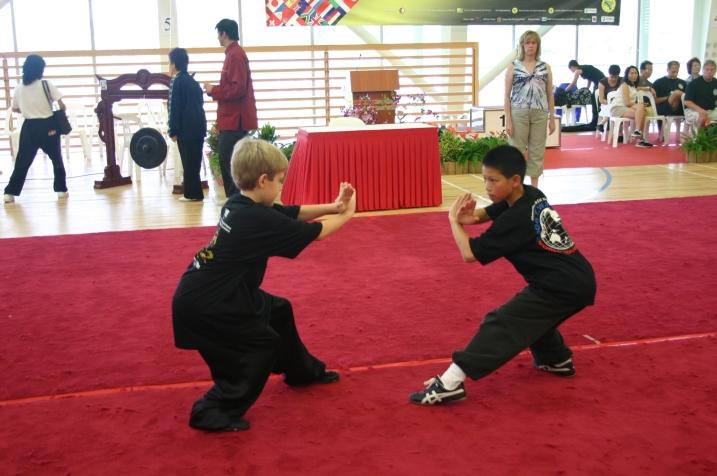 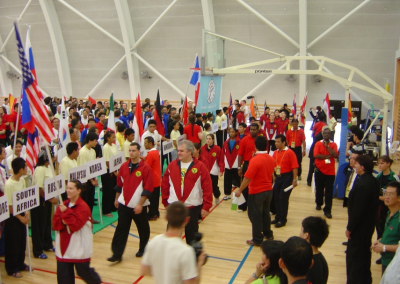 The World Kuo Shu Federation held its 2nd World Tournament in Singapore on November 11th and 12th, 2006. 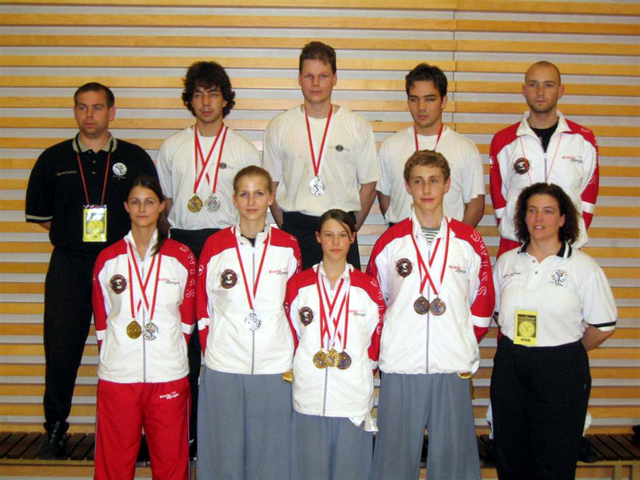 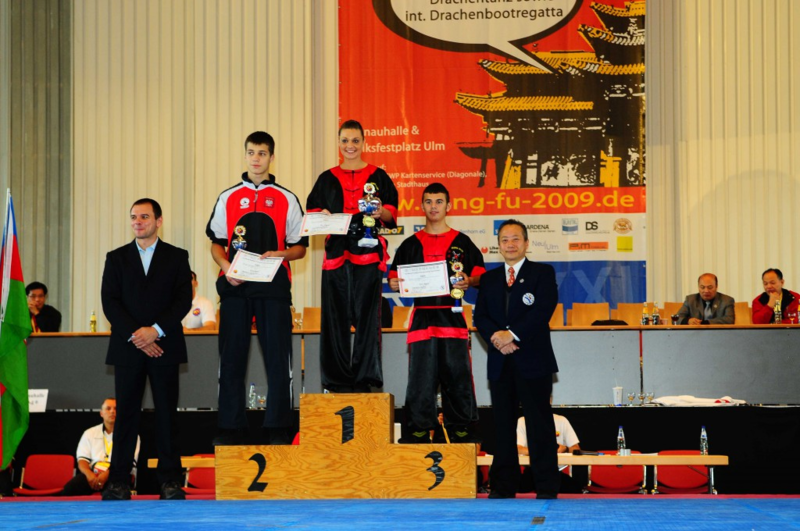 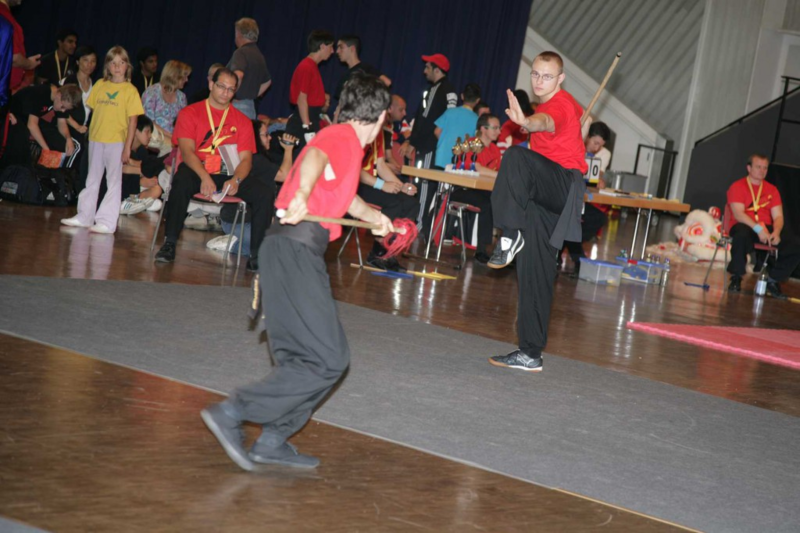 Neu Ulm, Germany was the location of The World Kuo Shu Federation 3rd World Tournament, September 3rd – 6th, 2009. 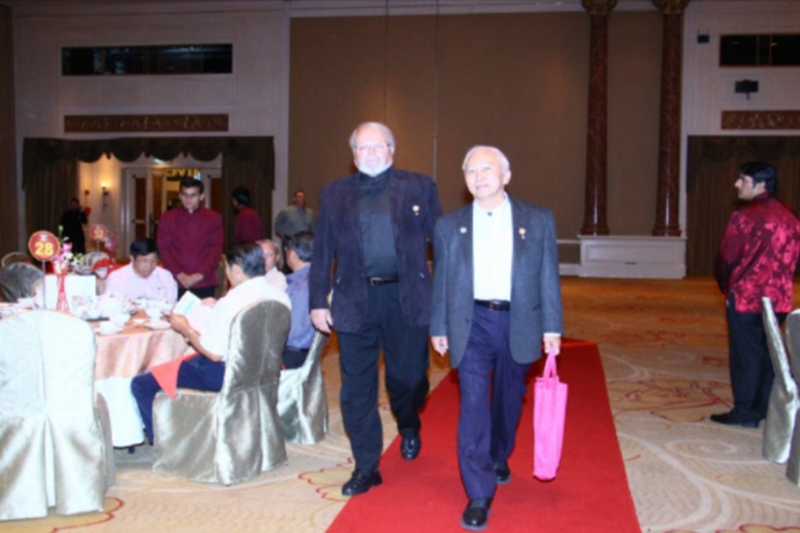 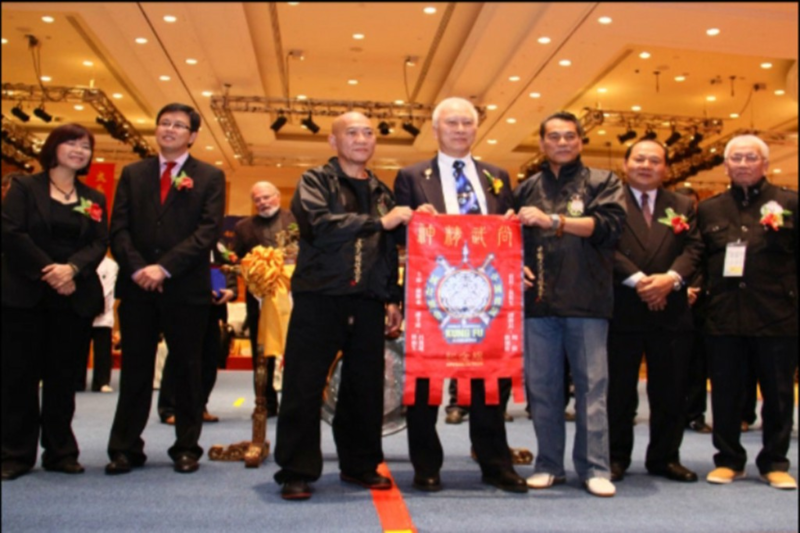 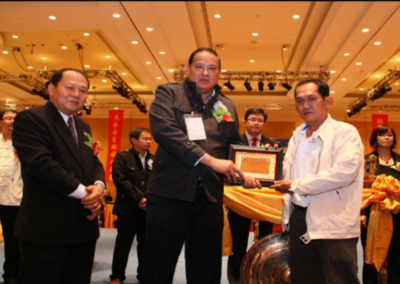 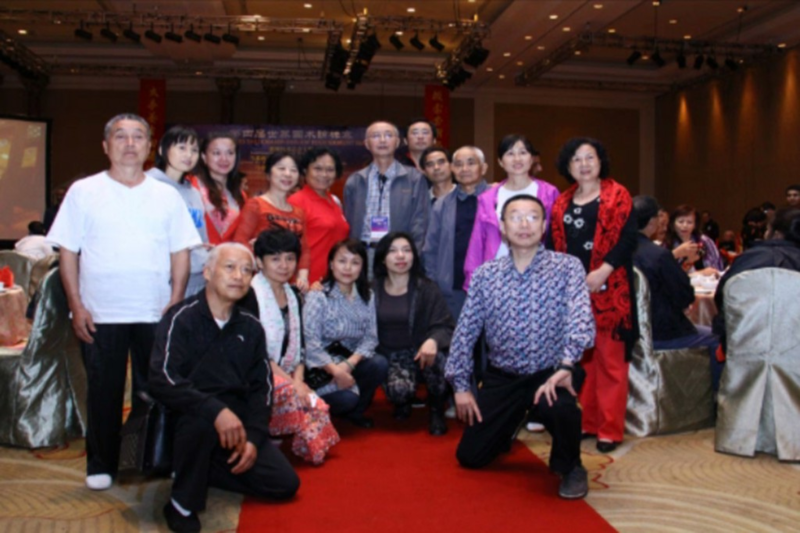 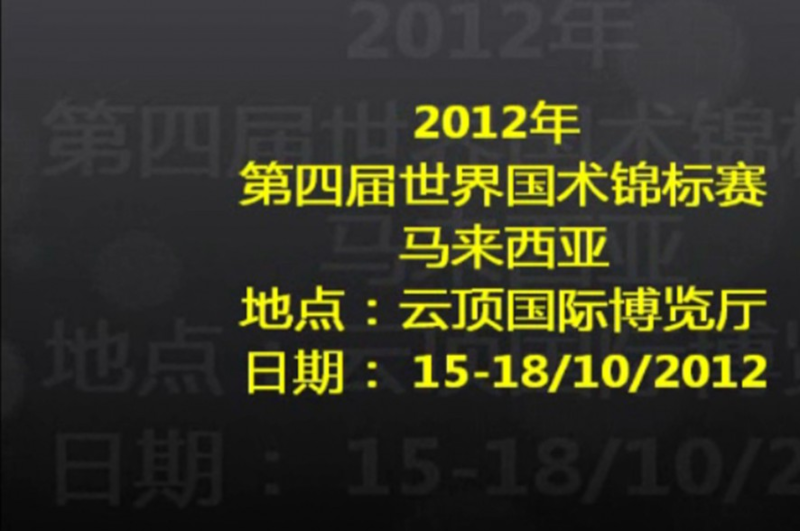 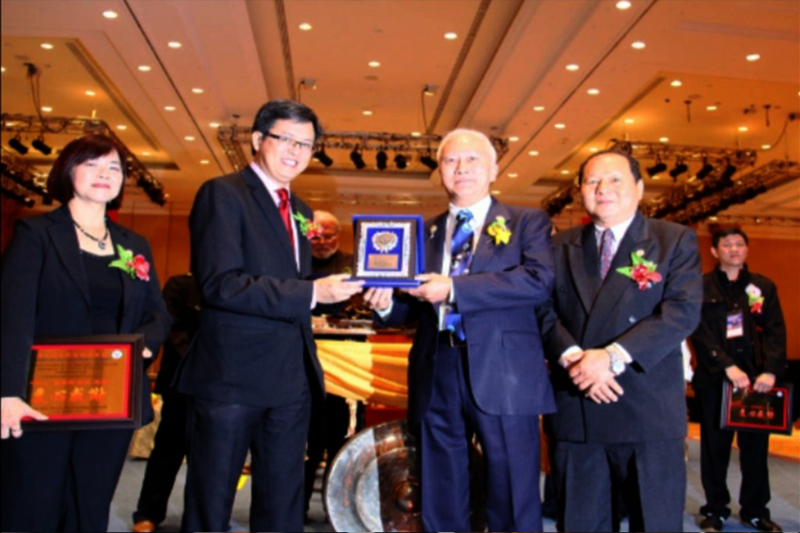 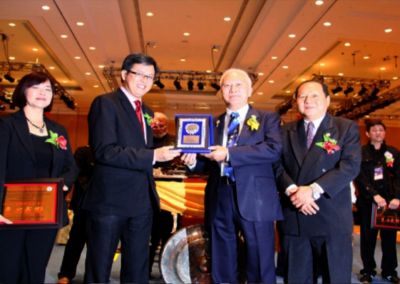 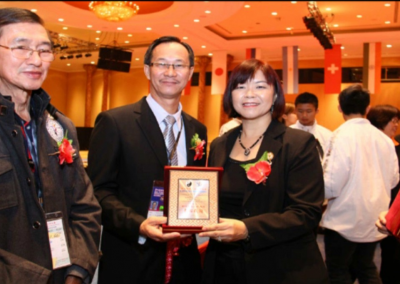 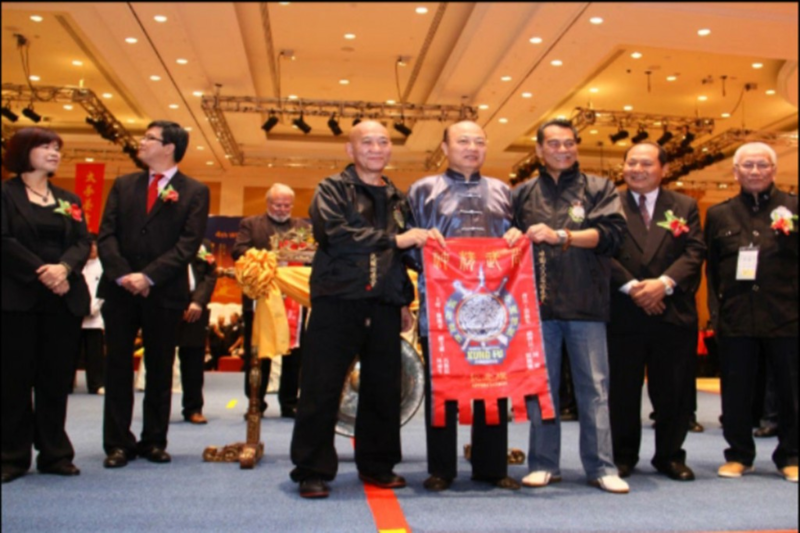 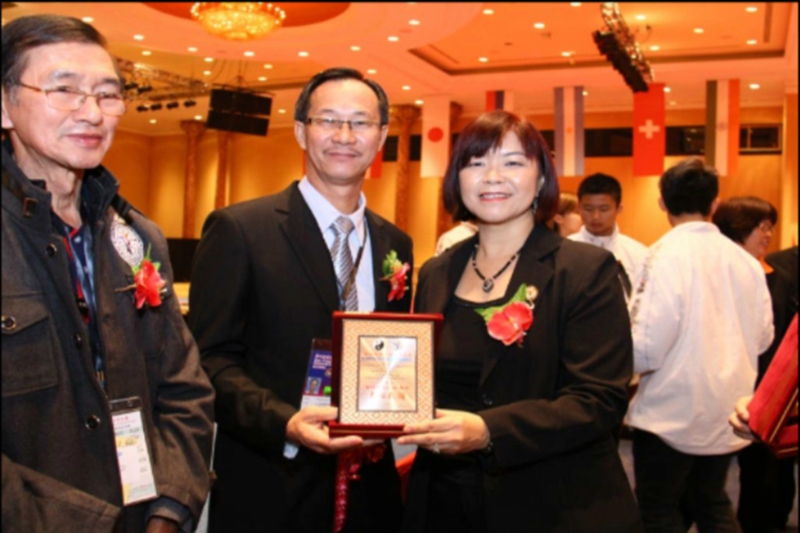 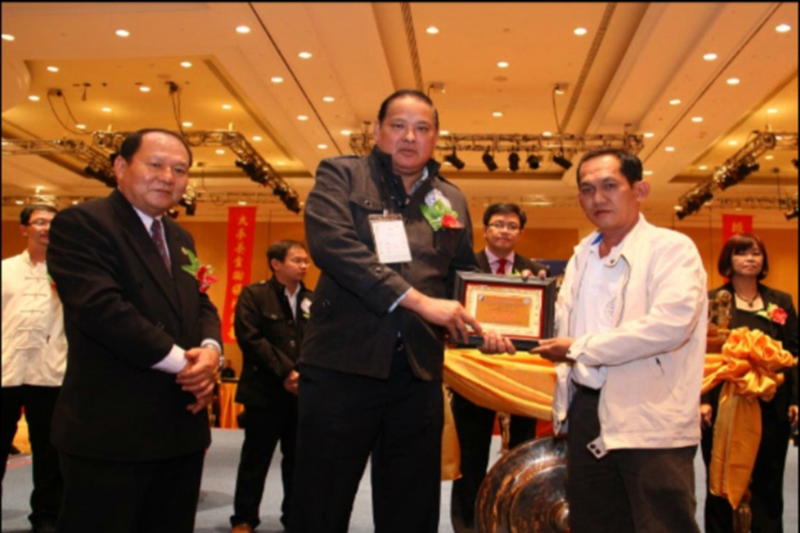 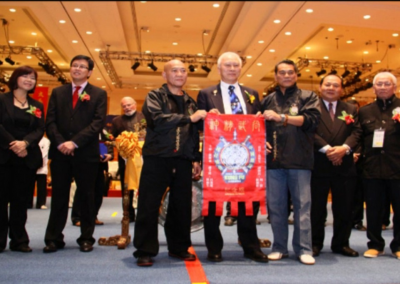 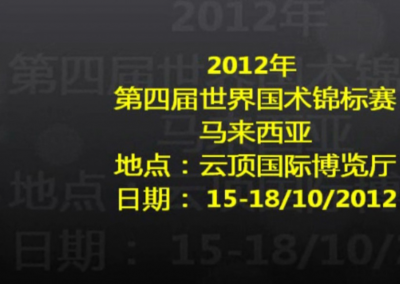 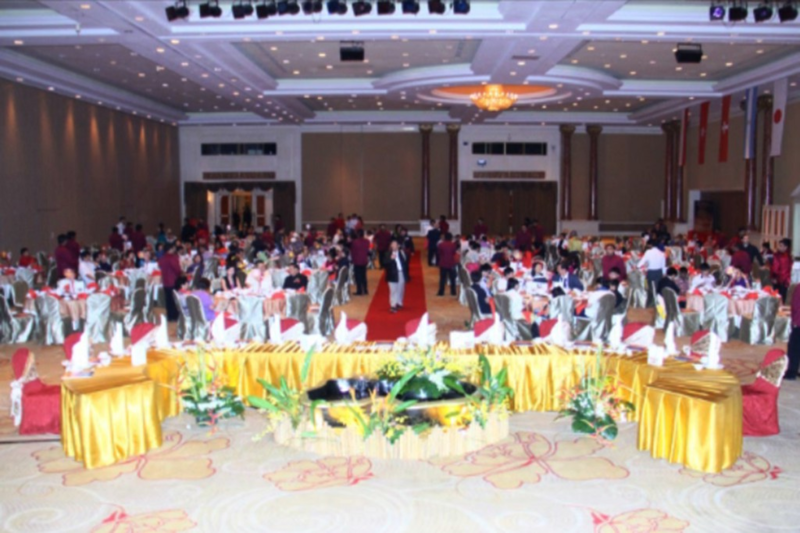 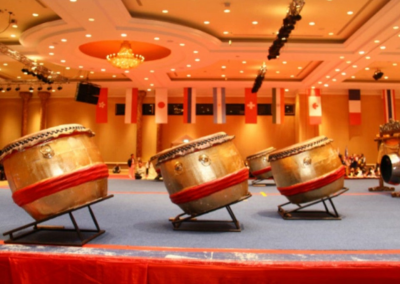 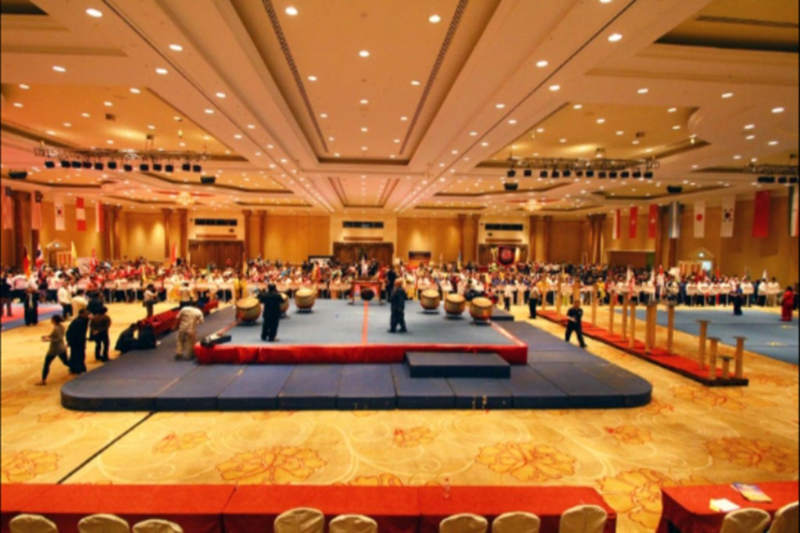 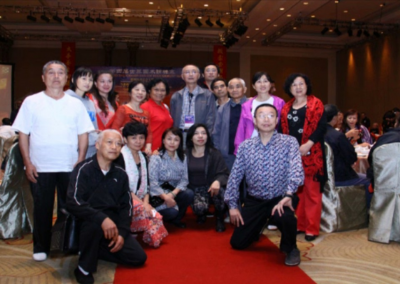 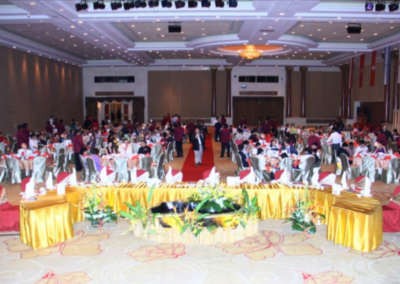 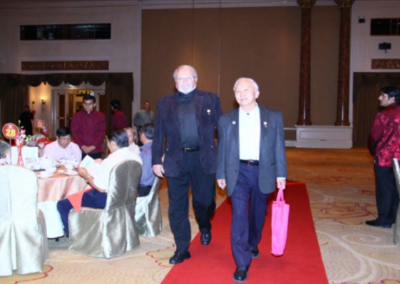 The World Kuo Shu Federation’s 4th World Tournament was held in GICC Resort World Genting, Malaysia, October 2012. 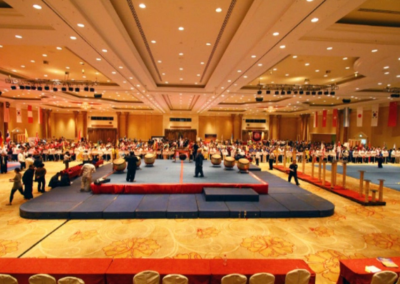 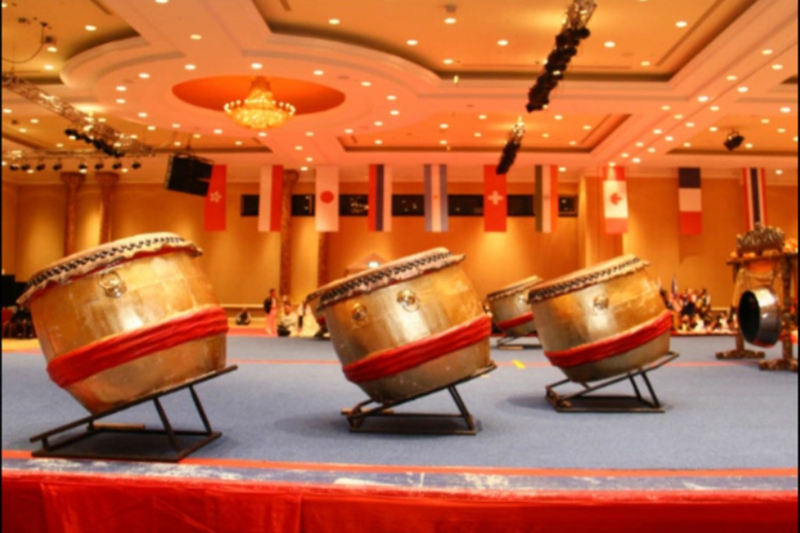 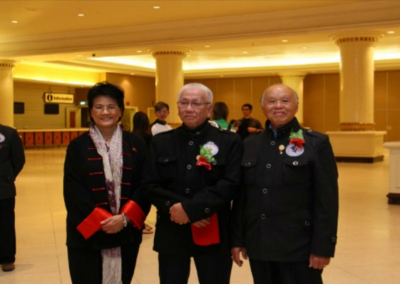 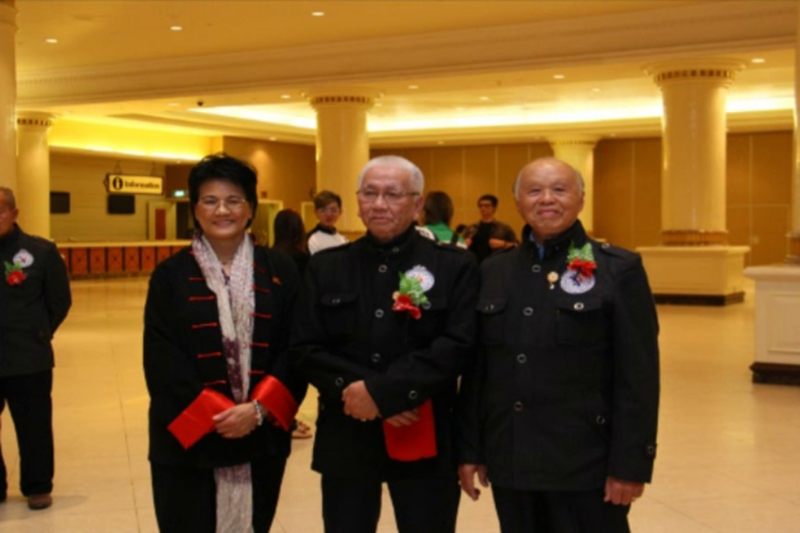 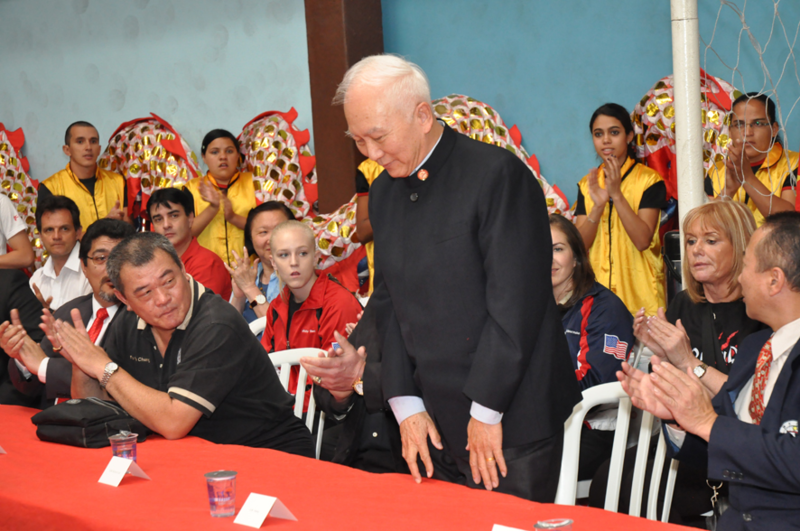 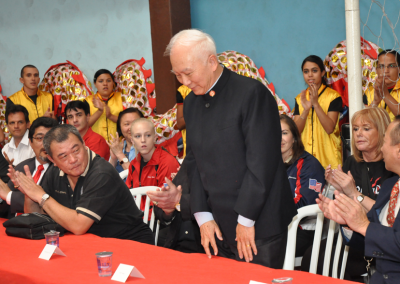 The World Kuo Shu Federation (TWKSF), an organization dedicated to develop and promote traditional Kuo Shu and its physical, mental and emotional benefits, held their 4th World Championship tournament in Genting, Malaysia. 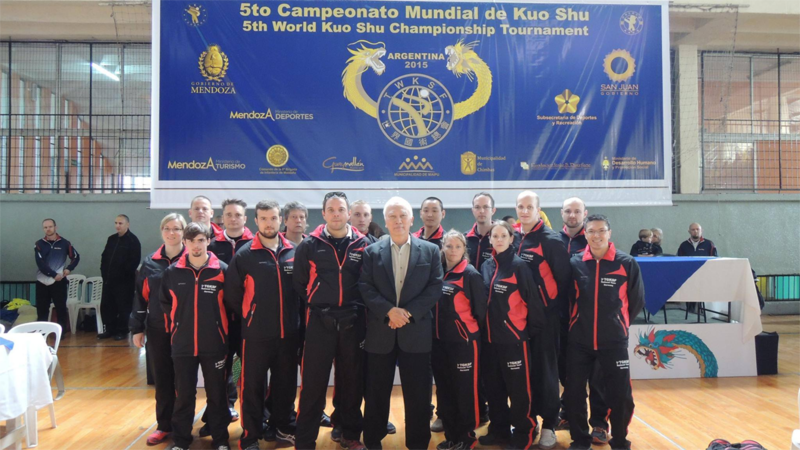 Held every three to four years in a major city around the world, the World Kuo Shu (Kung Fu) Championships is a world-class Olympic level martial arts tournament. 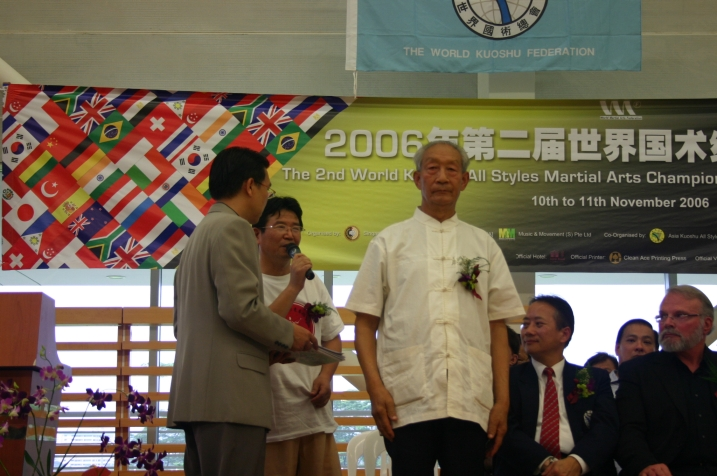 The best martial artists from around the globe came to compete in forms, weapons, two man sets and full contact lei tai fighting. 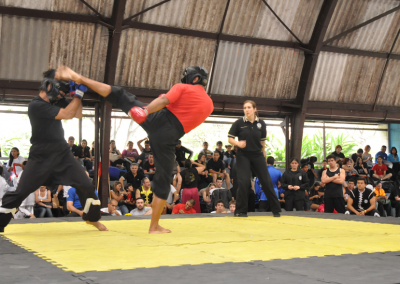 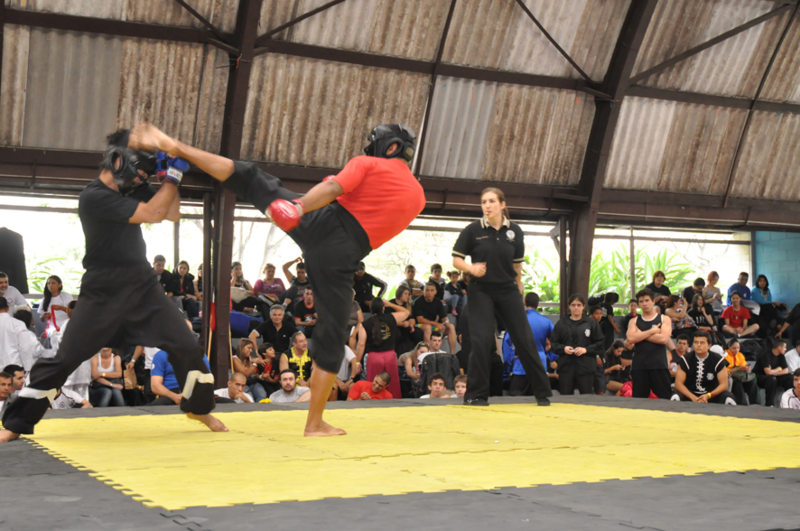 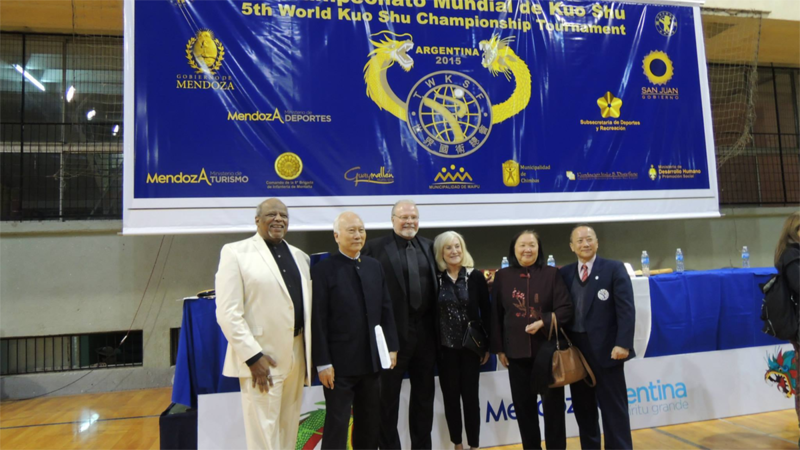 Over the three full days of the tournament, more than 20 countries came from around the world to showcase their martial arts abilities in many different categories. 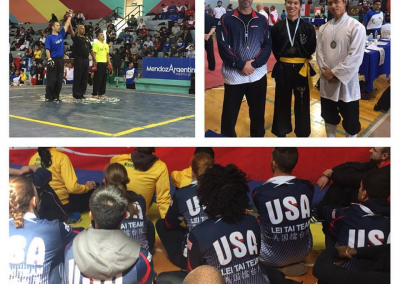 At the end of the event the United States team took home the Grand Championship 1st place trophy while Brazil came in 2nd place. 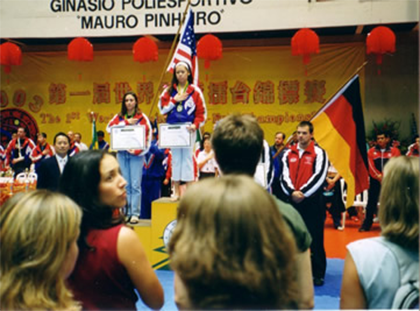 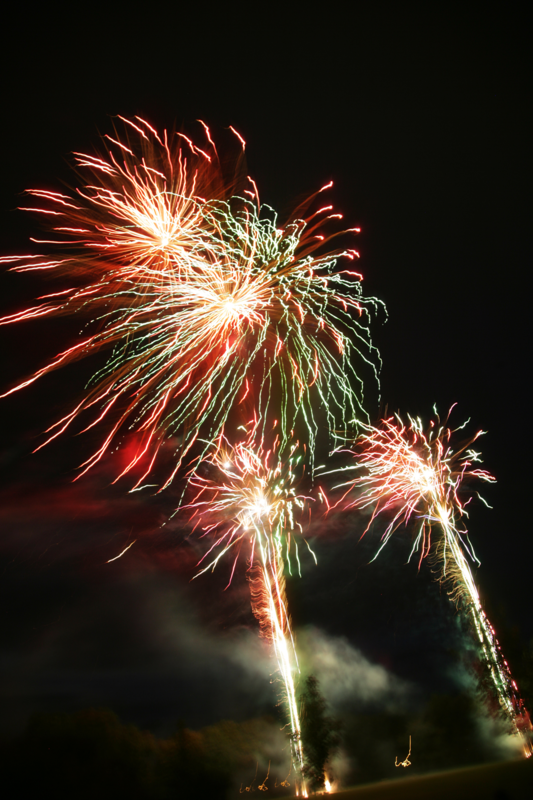 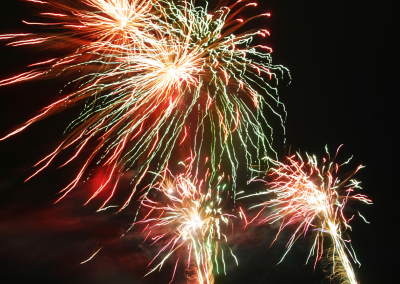 The U.S. has won the Grand Championship at the last two world tournaments, which were held in Singapore (2006) and Germany (2009). 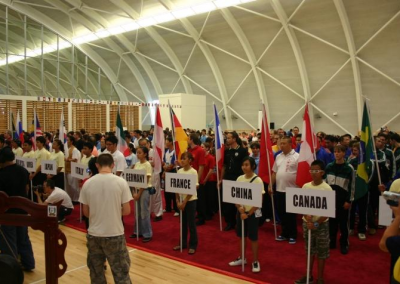 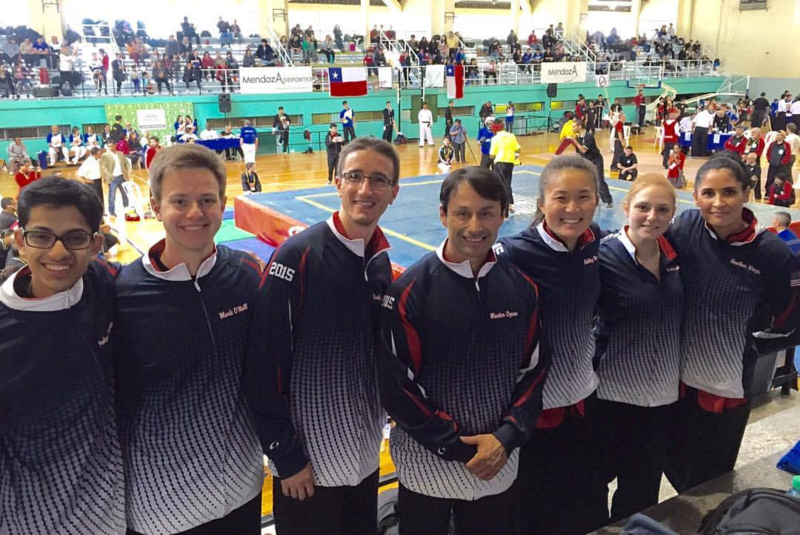 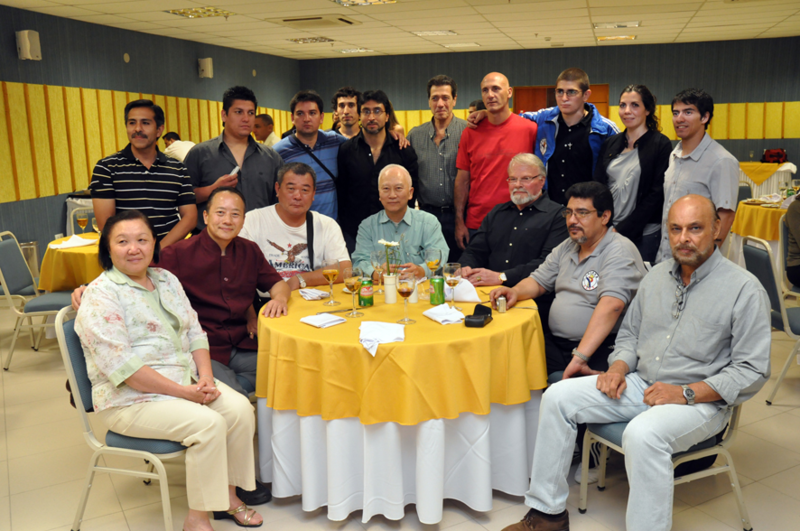 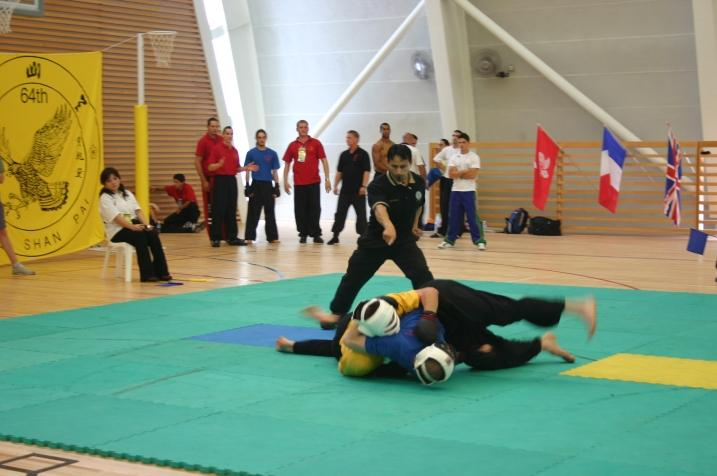 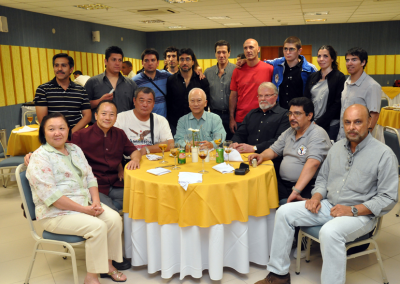 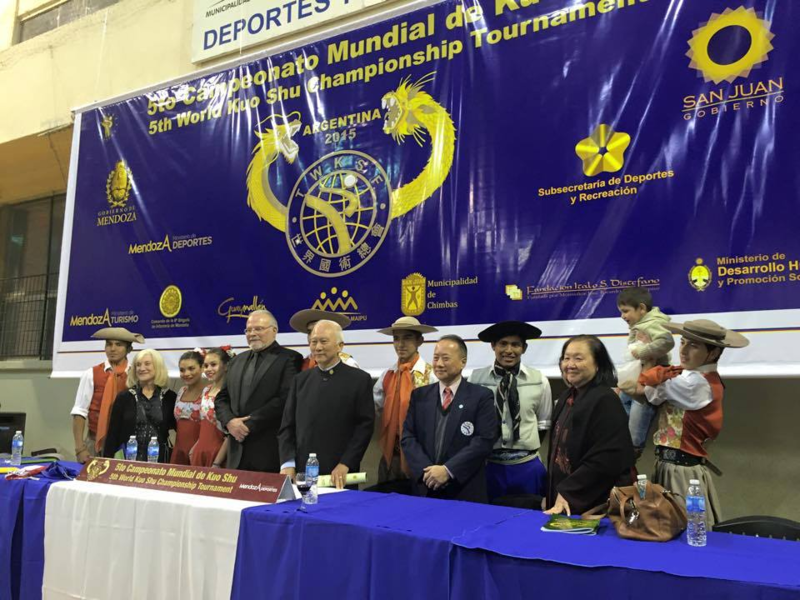 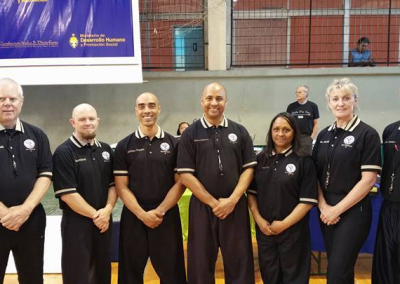 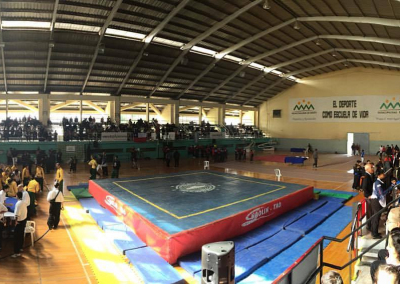 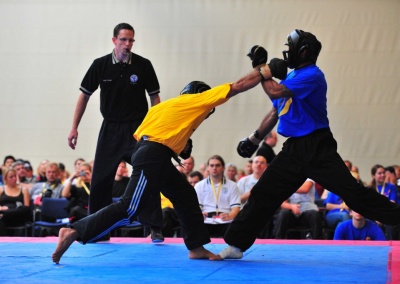 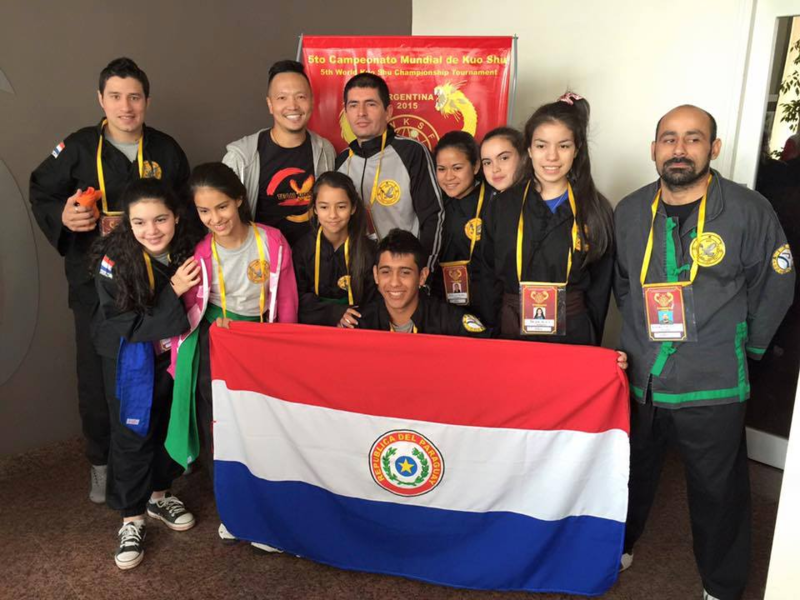 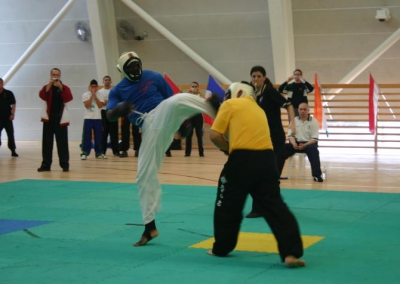 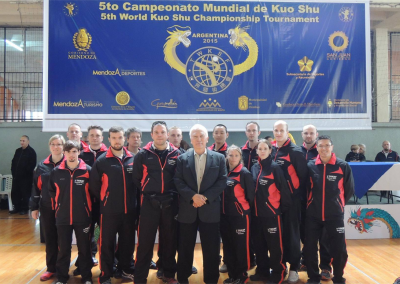 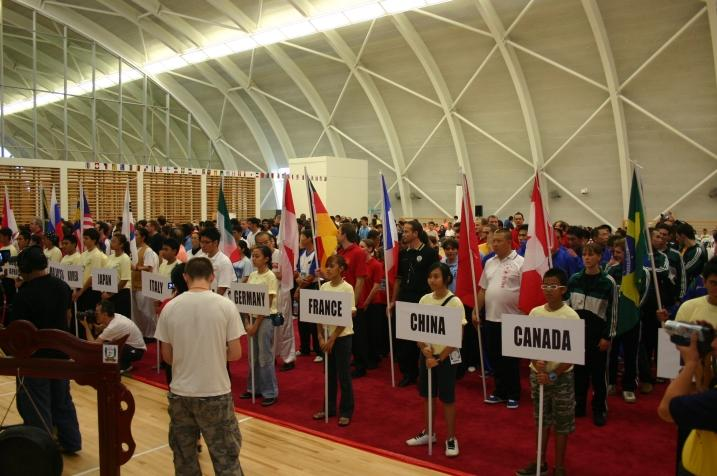 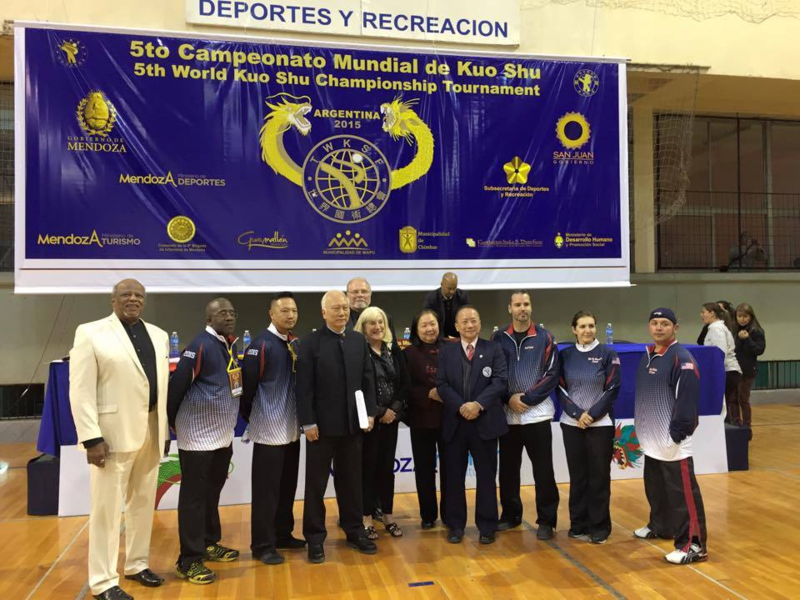 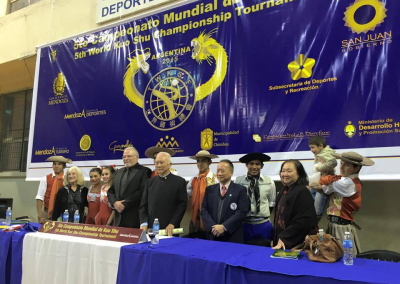 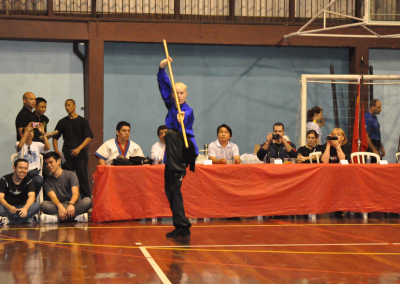 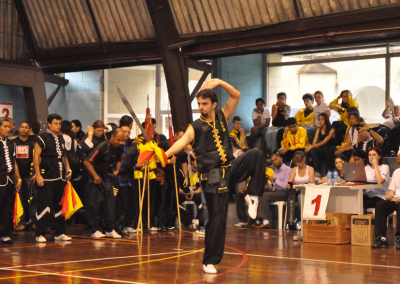 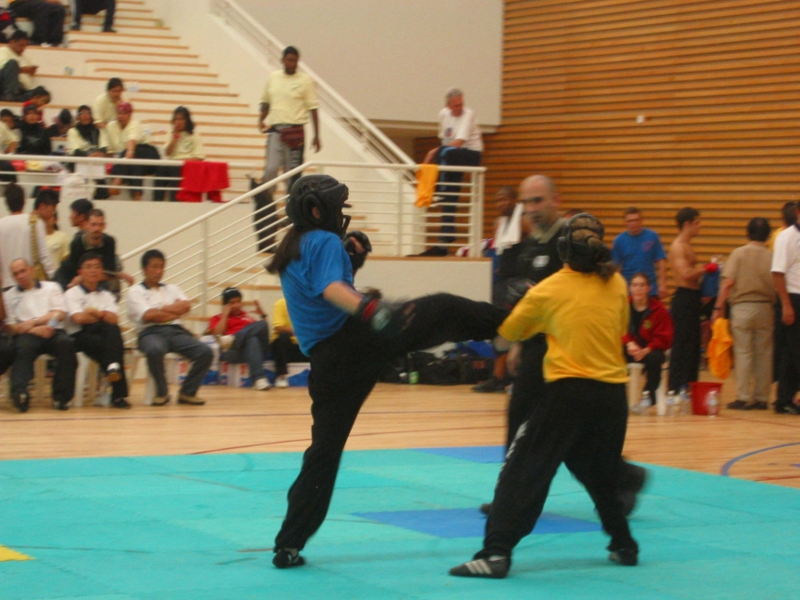 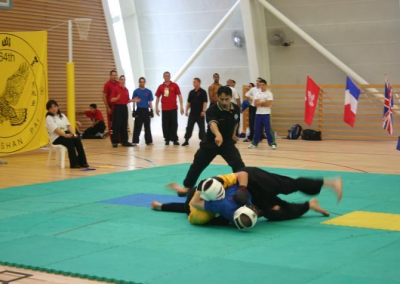 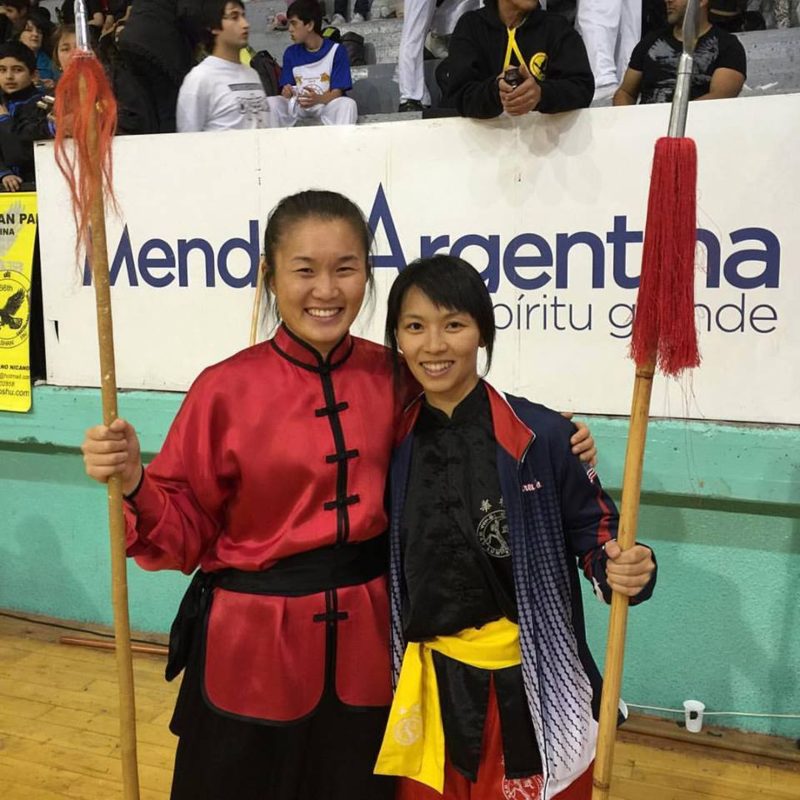 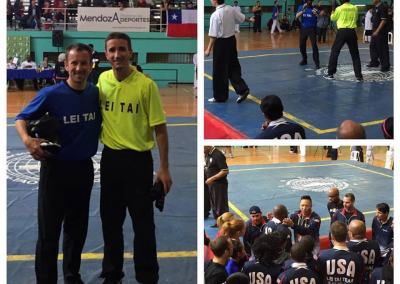 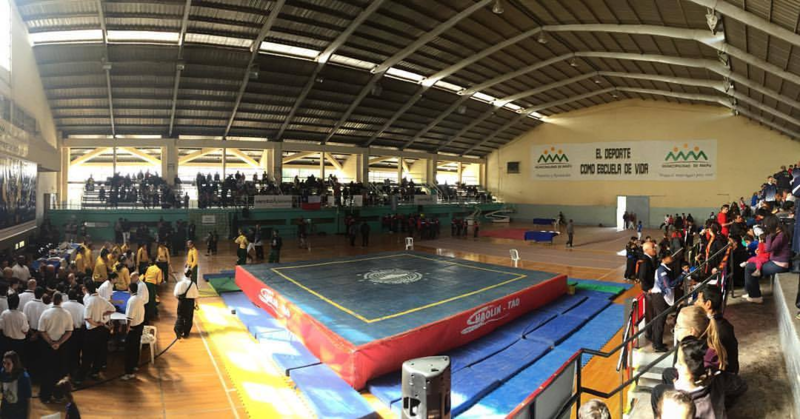 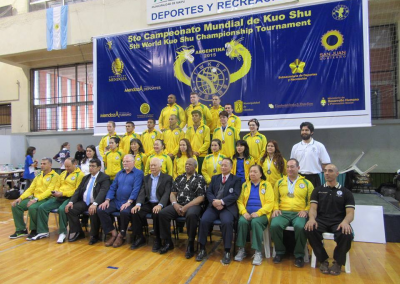 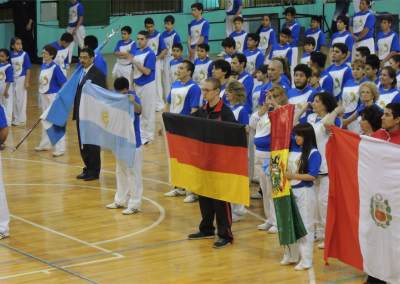 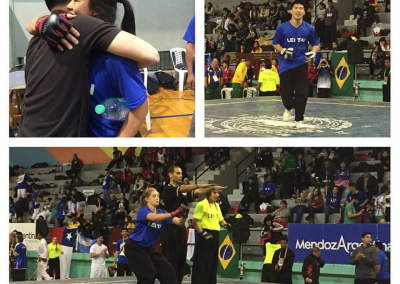 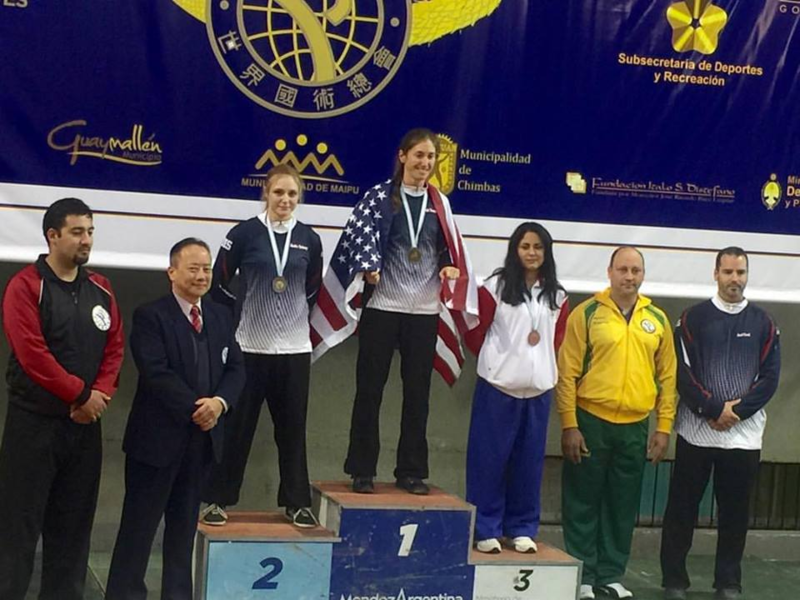 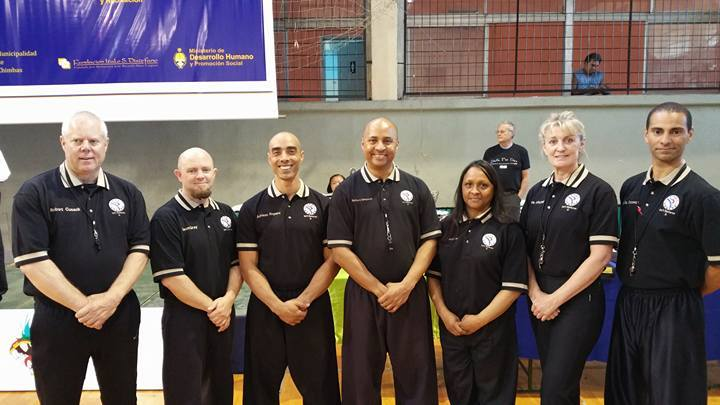 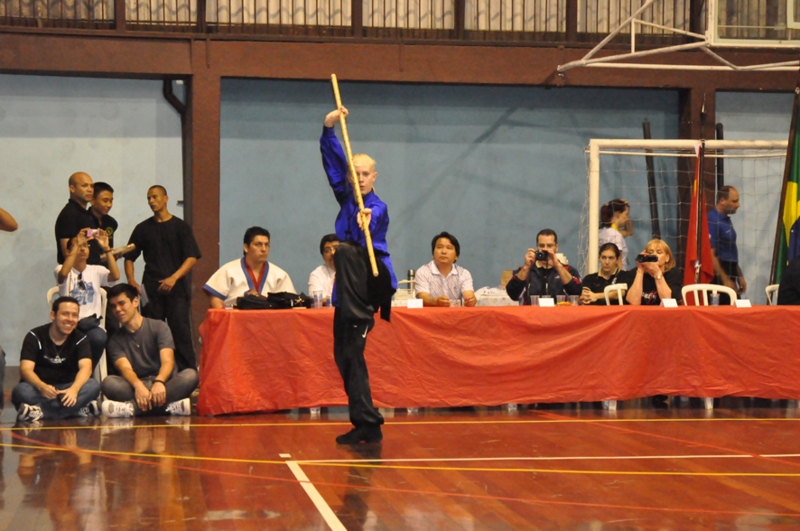 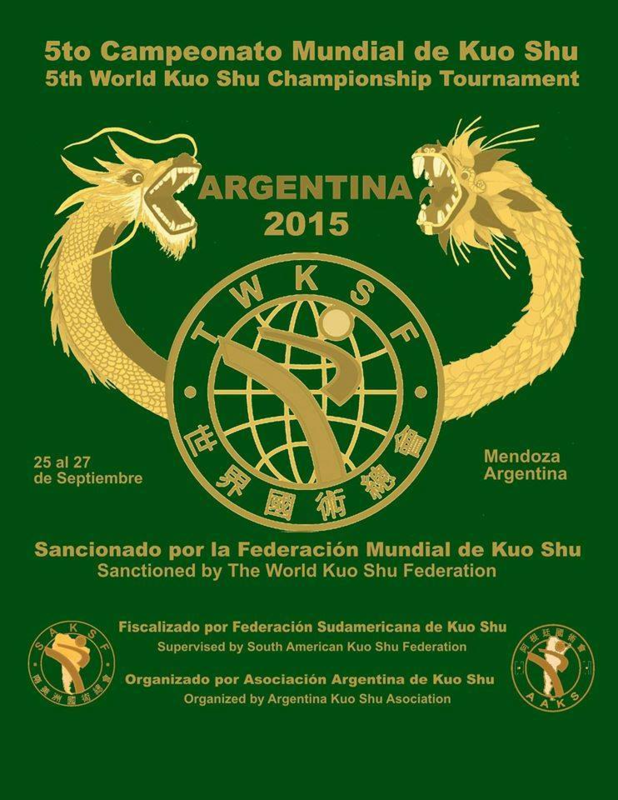 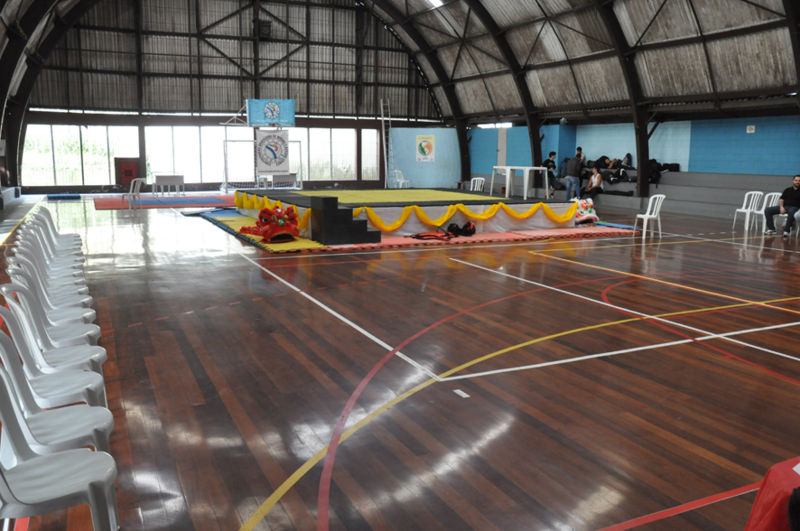 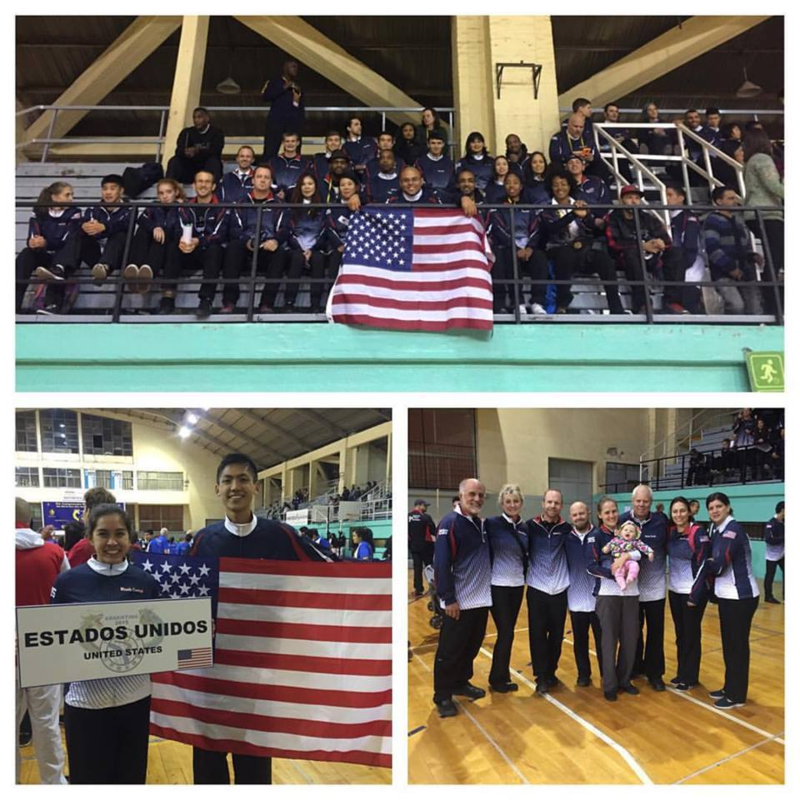 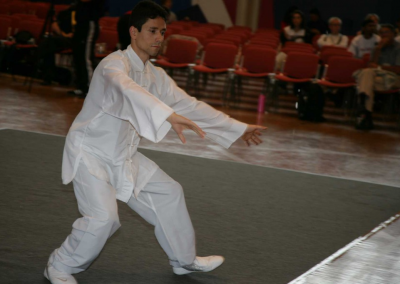 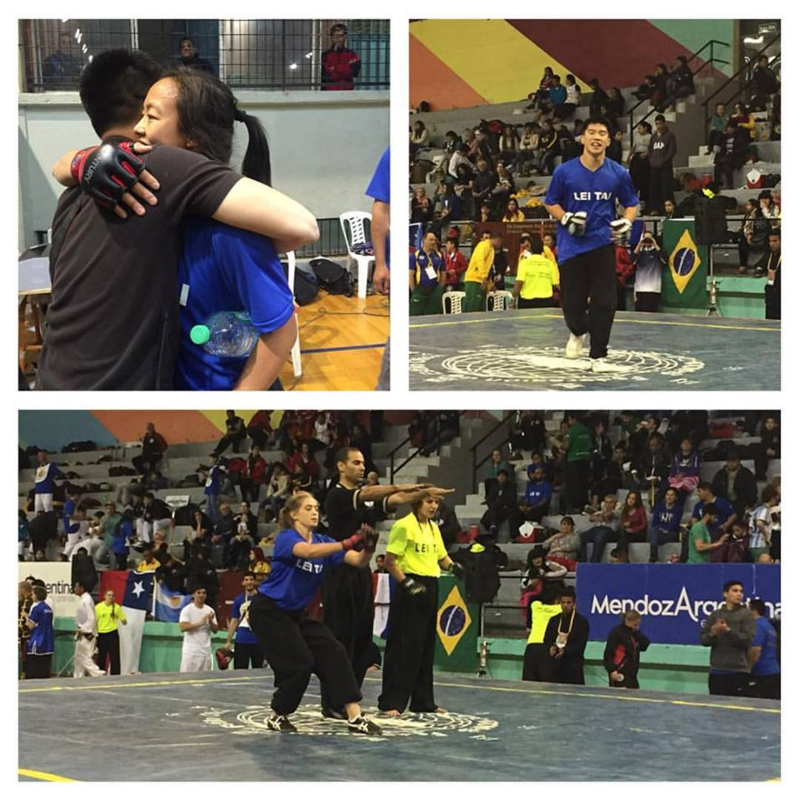 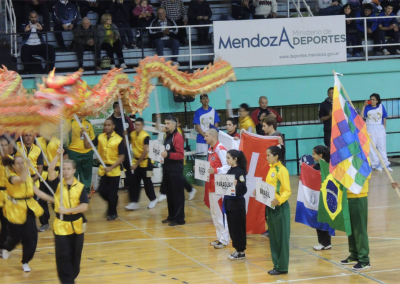 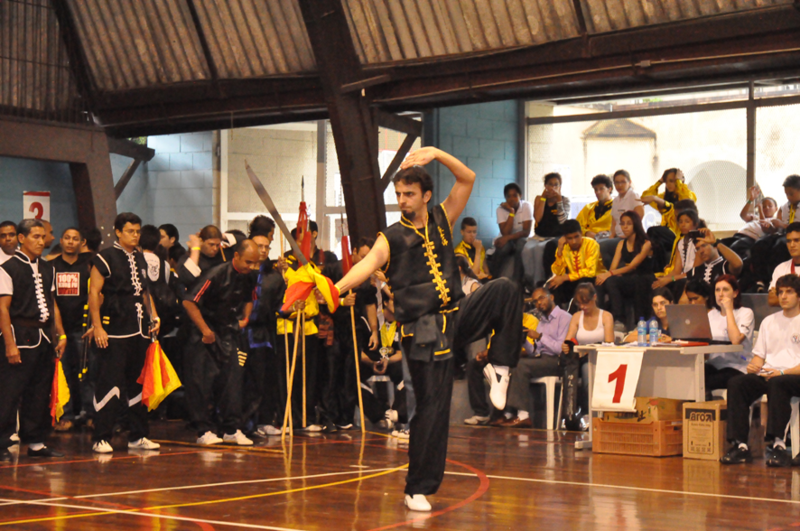 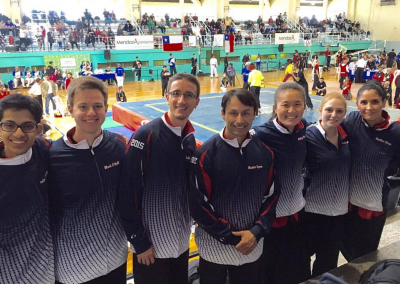 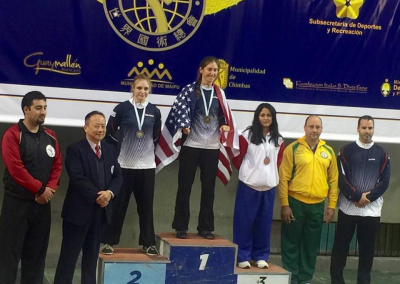 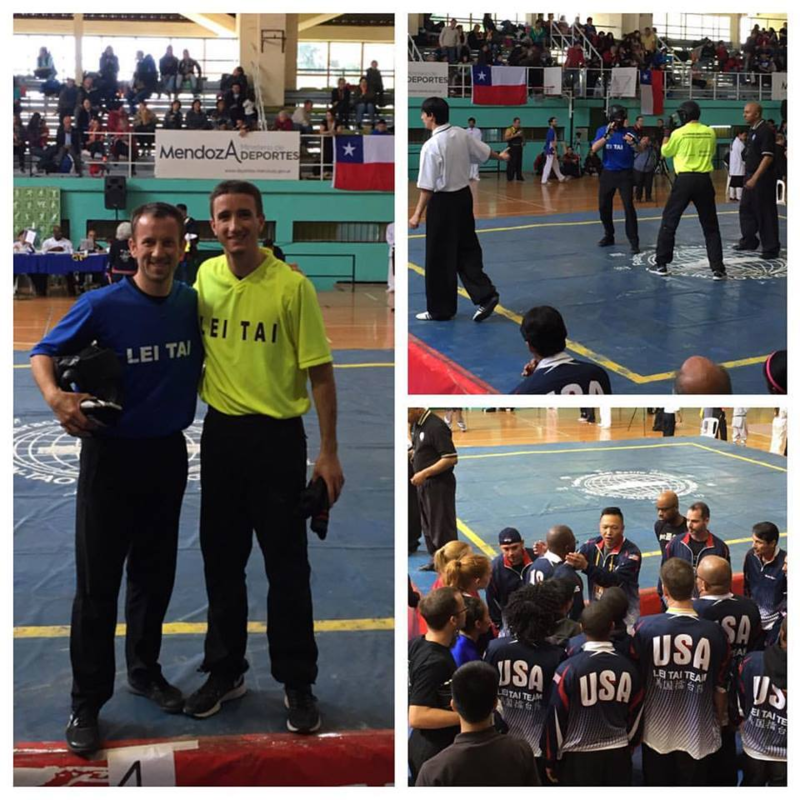 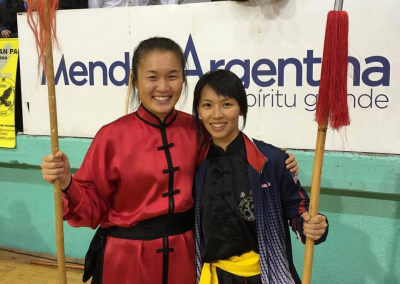 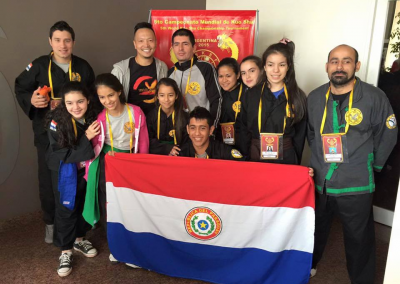 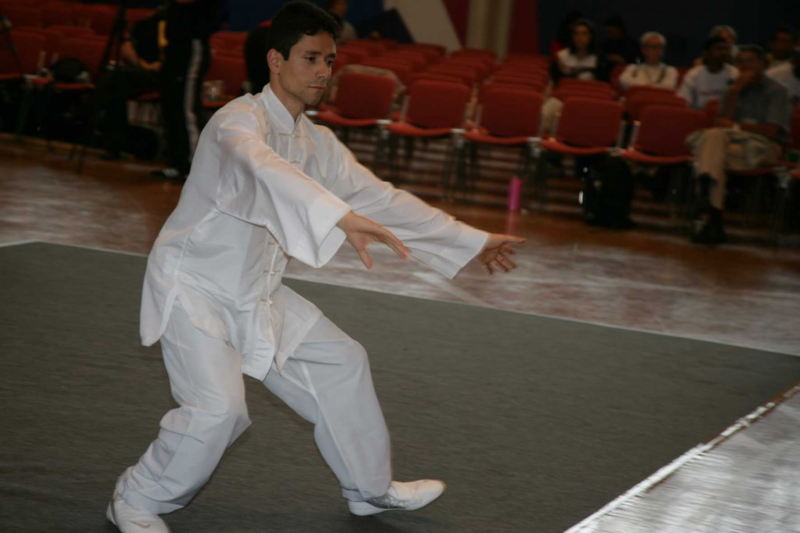 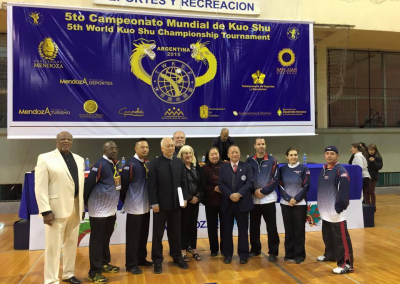 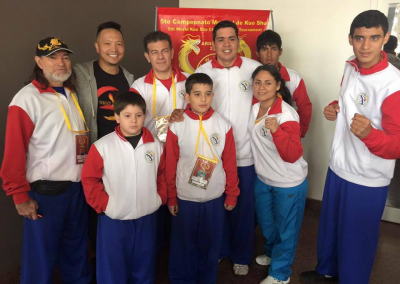 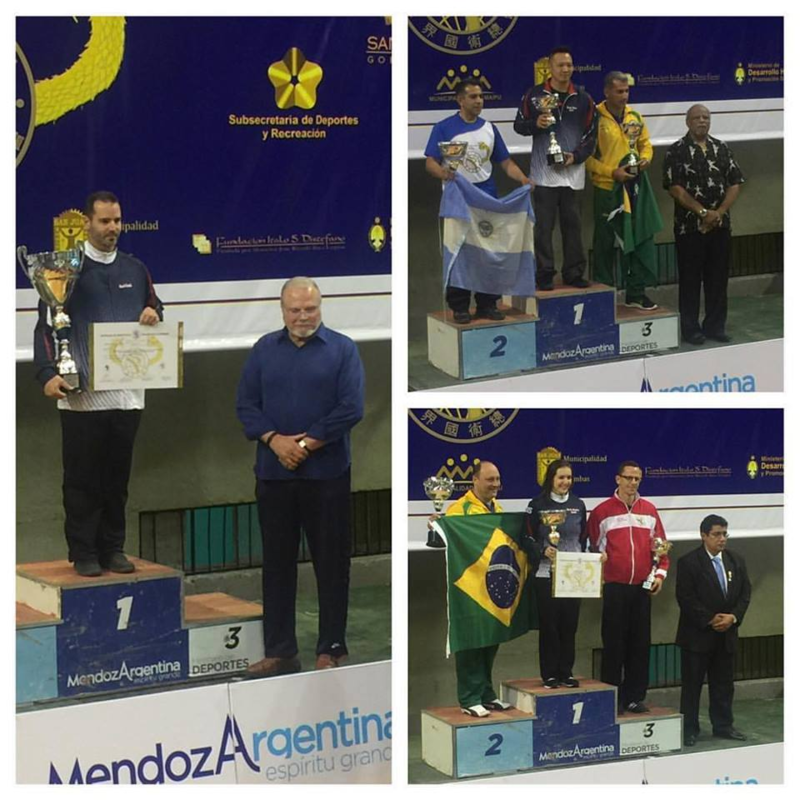 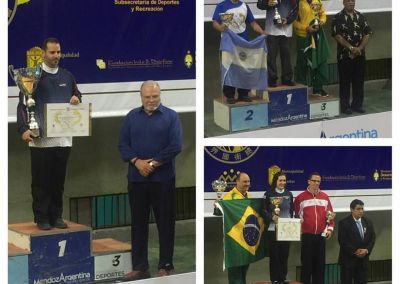 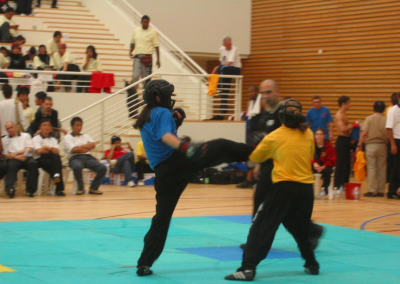 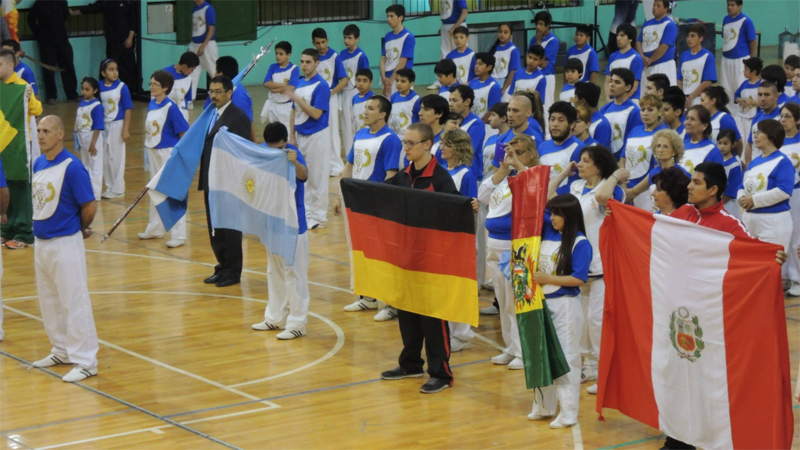 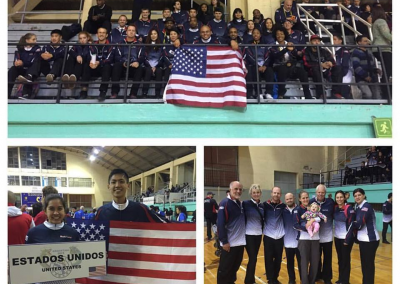 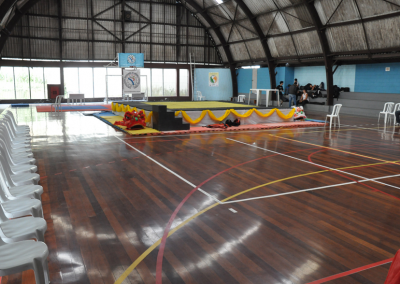 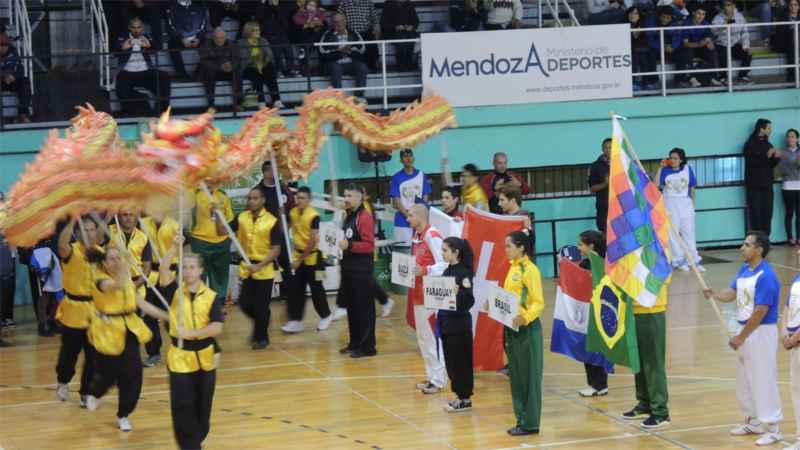 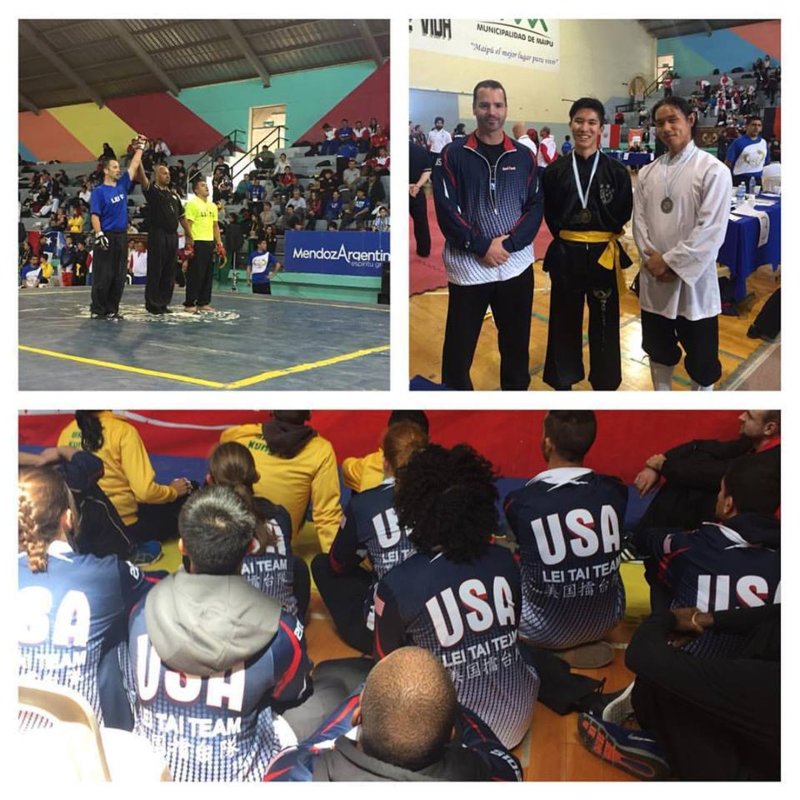 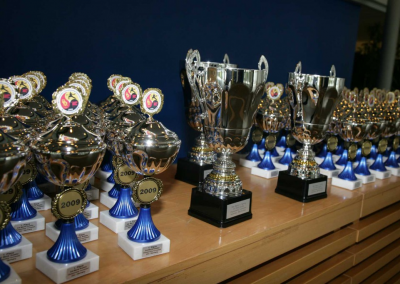 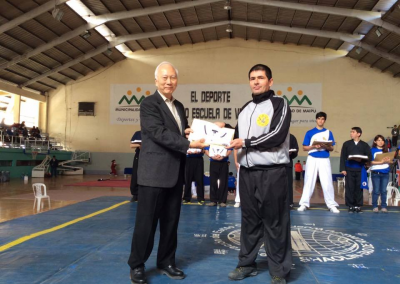 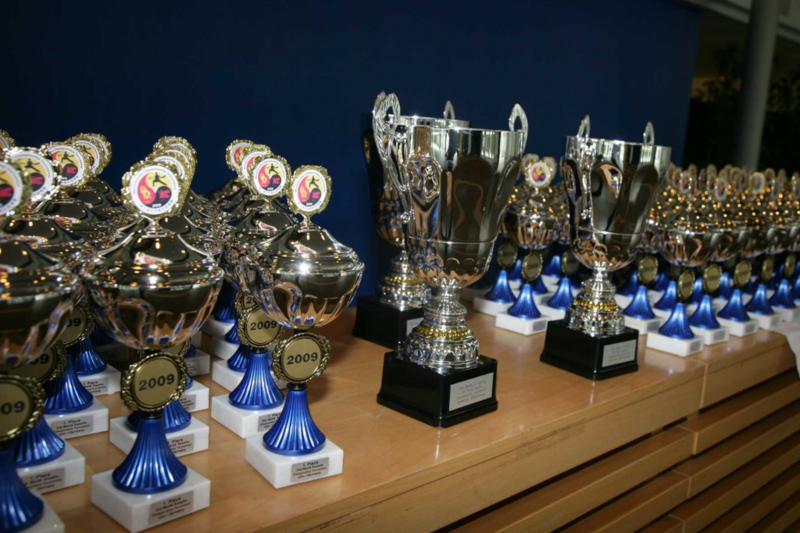 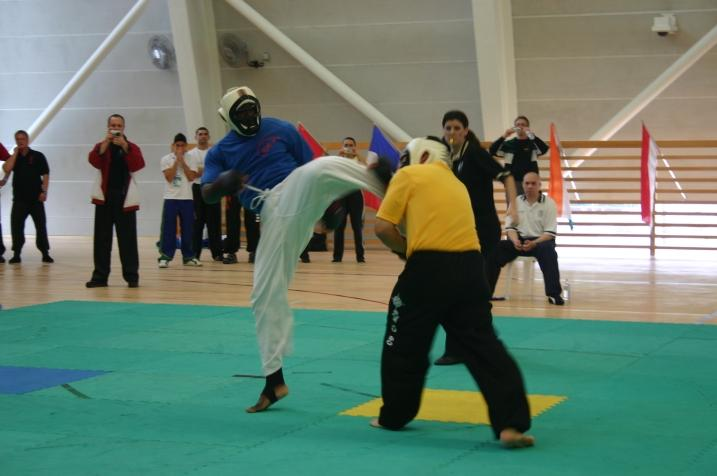 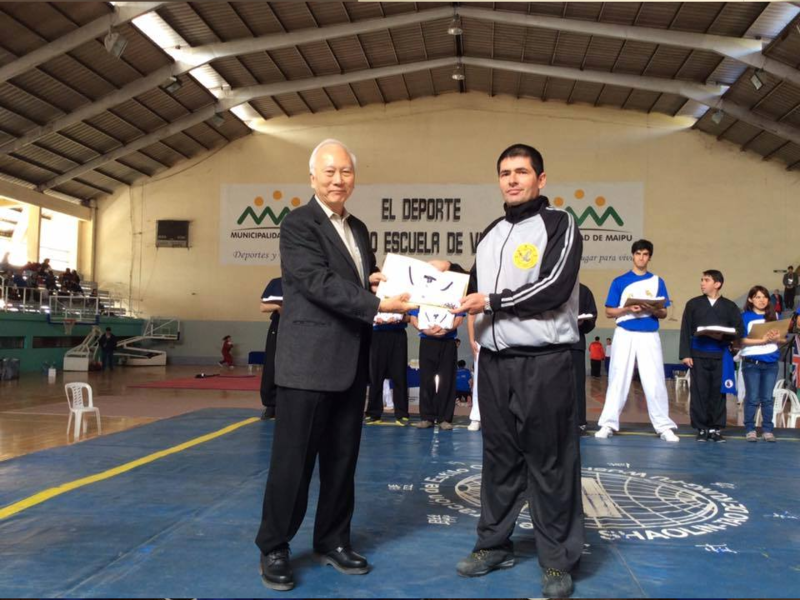 The 5th World Kuo Shu Federation Championship Tournament was held in Mendoza, Argentina on September 25th – 27th, 2015.